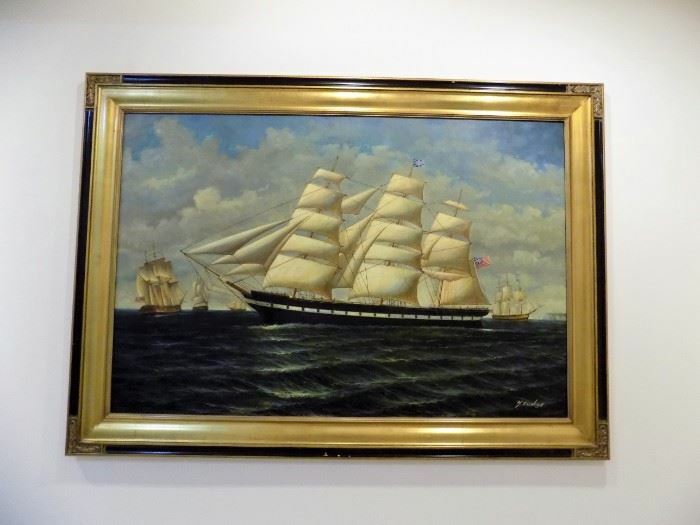 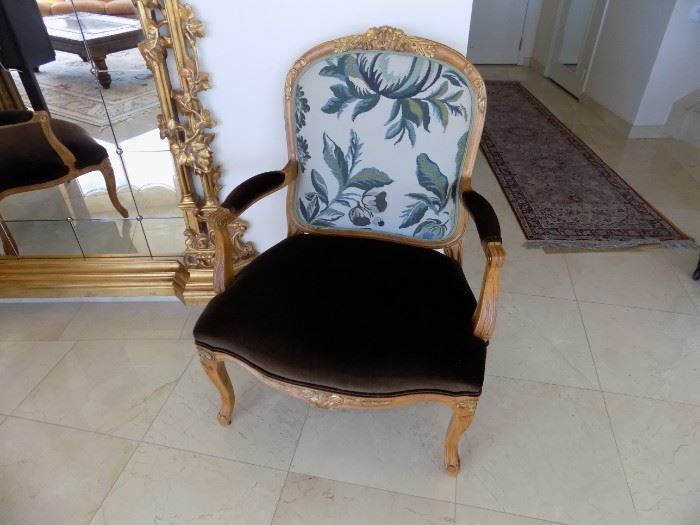 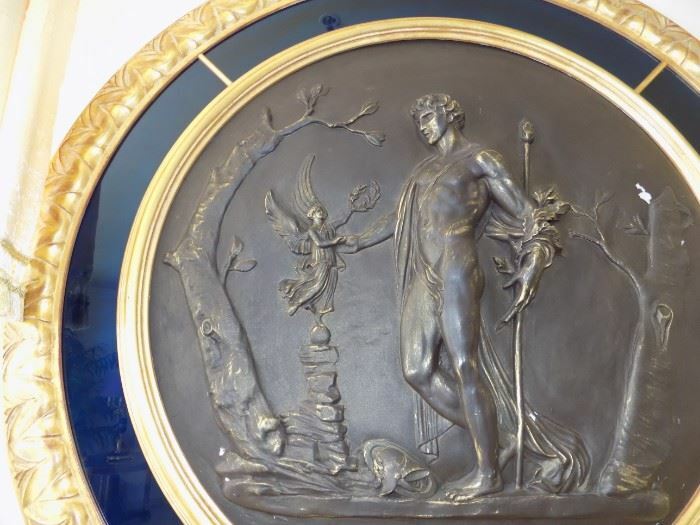 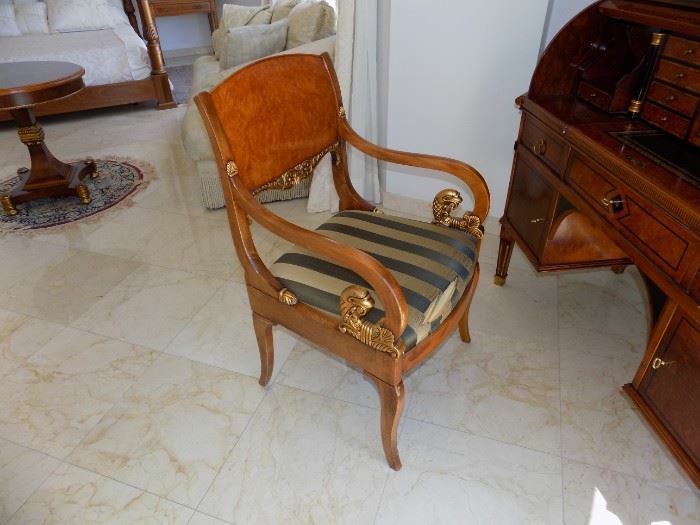 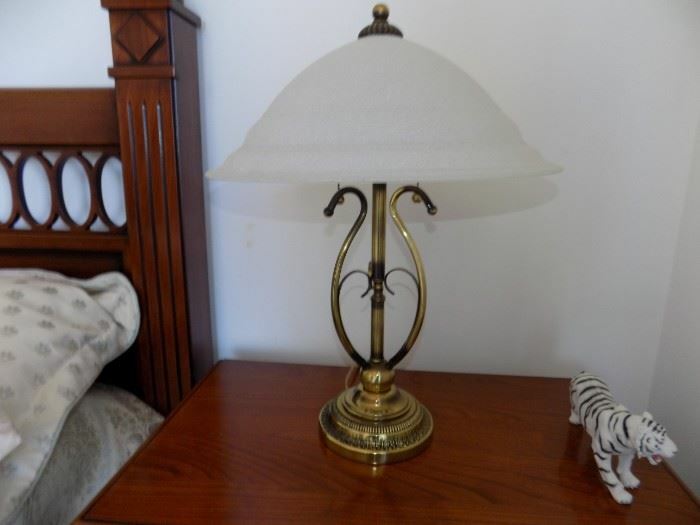 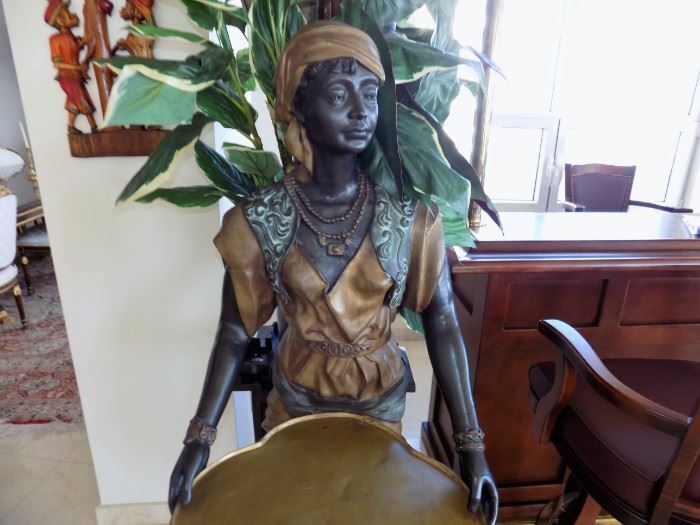 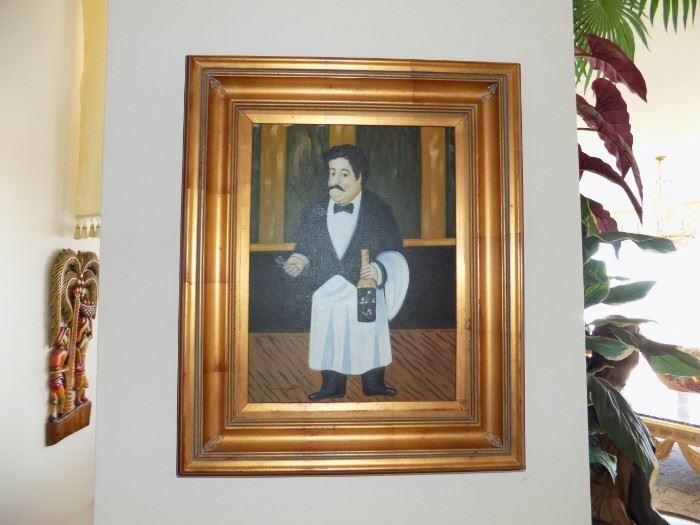 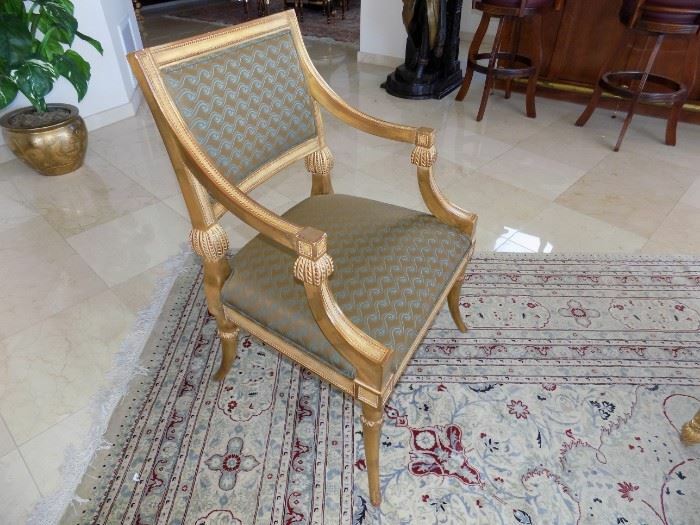 Artistic Antiques Estate Sales and Liquidations - SOLD OUT!!! 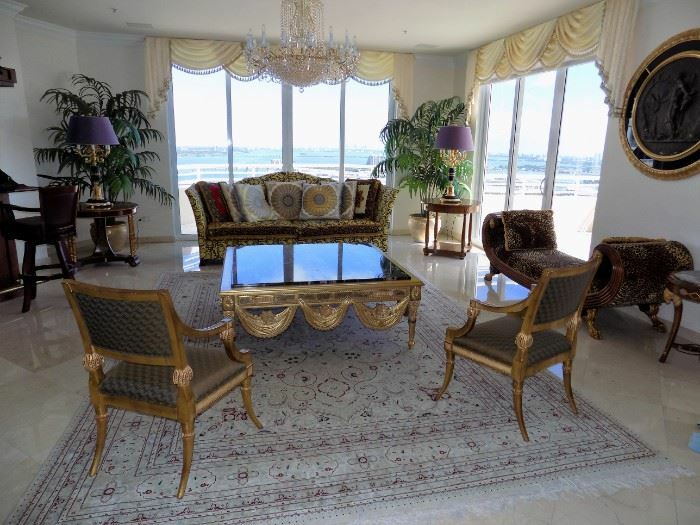 5500 SQ FT PENTHOUSE FILLED WITH FINE FRENCH DESIGNED FURNITURE AND MORE..
SOLD OUT!!! 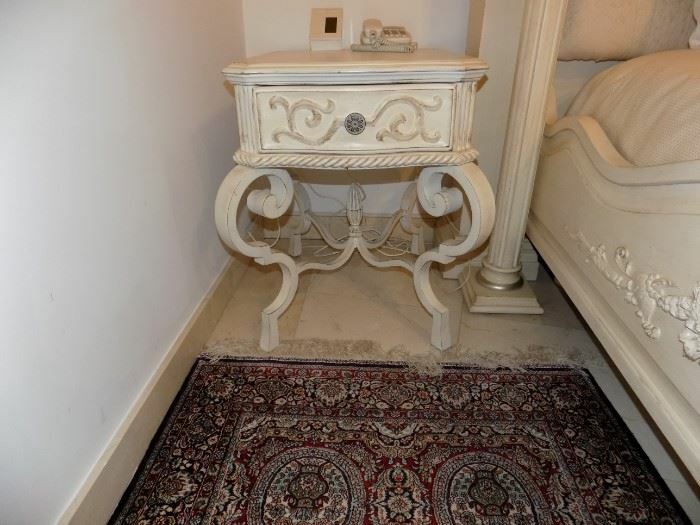 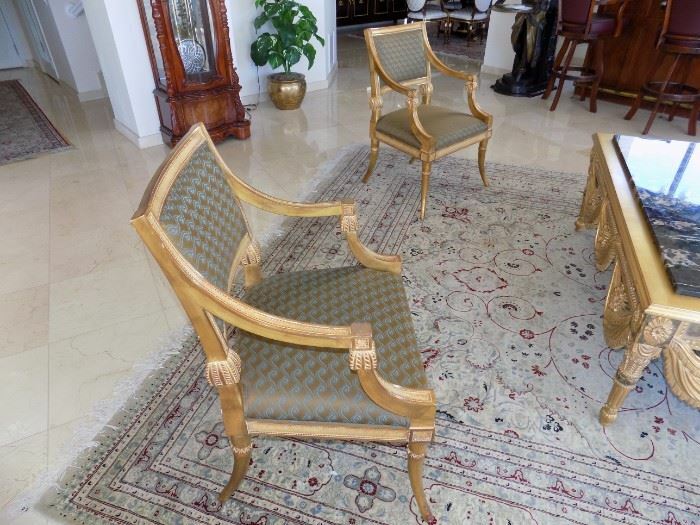 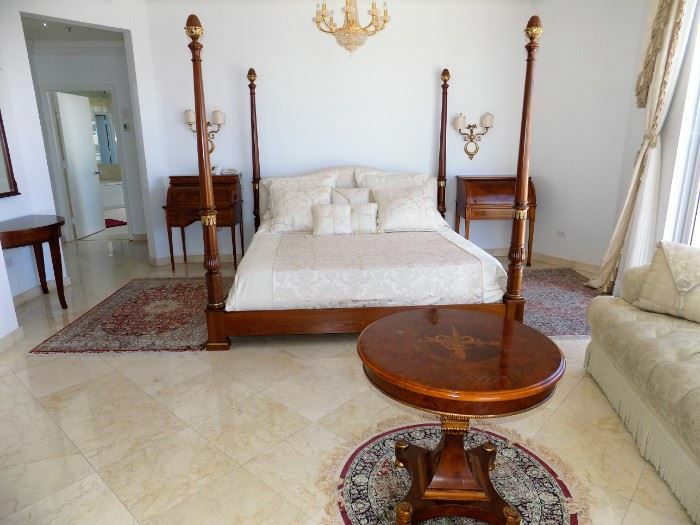 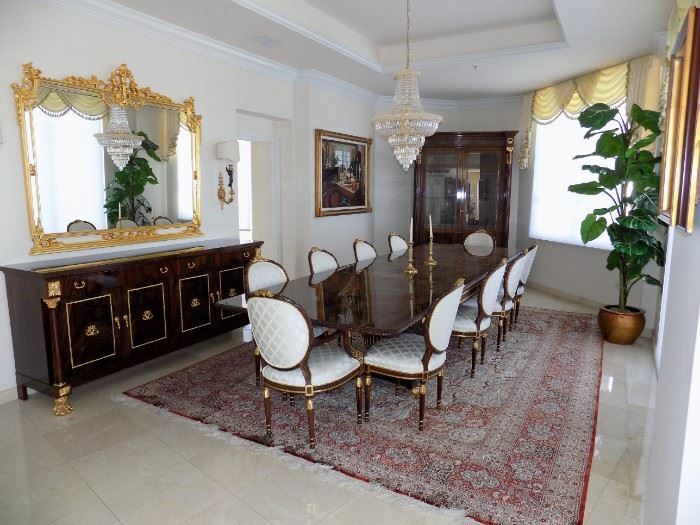 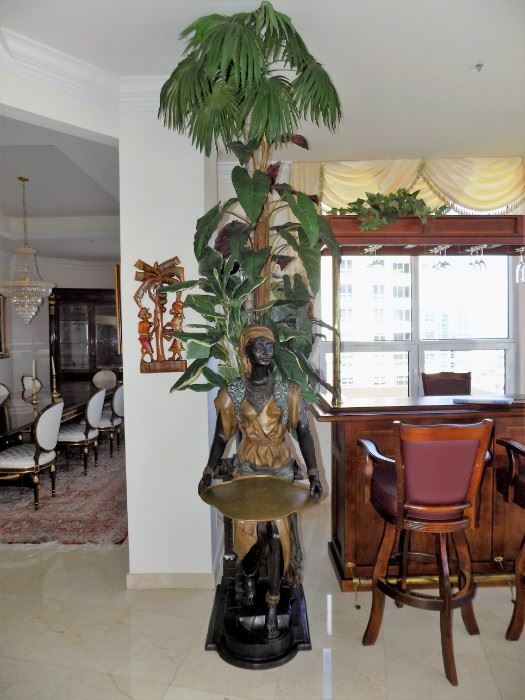 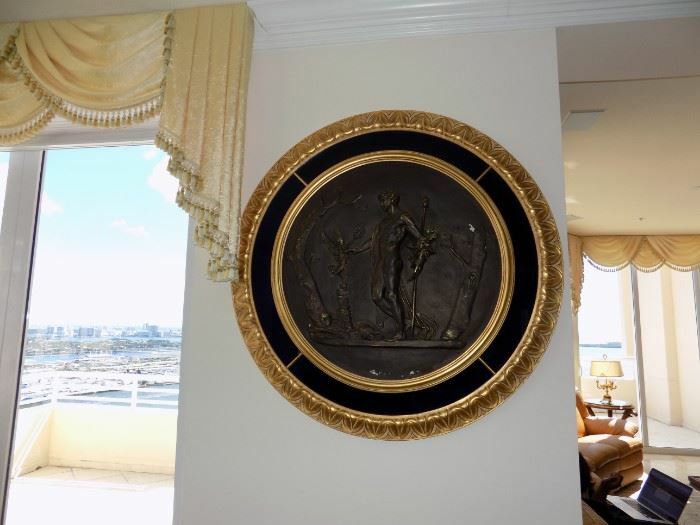 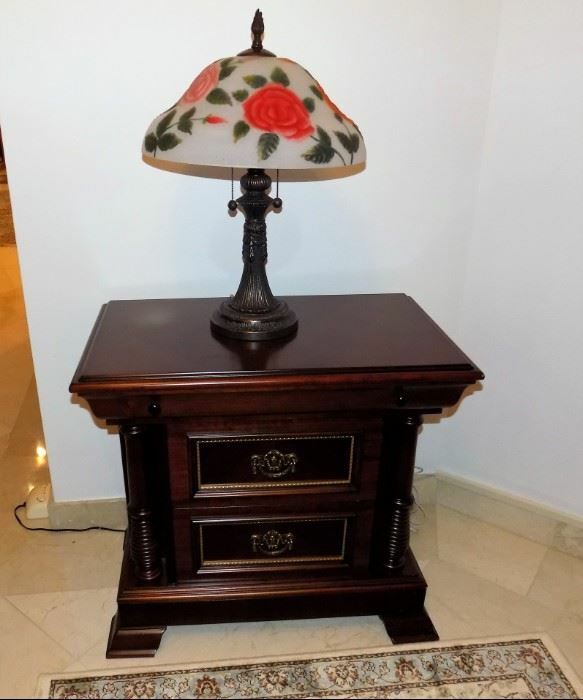 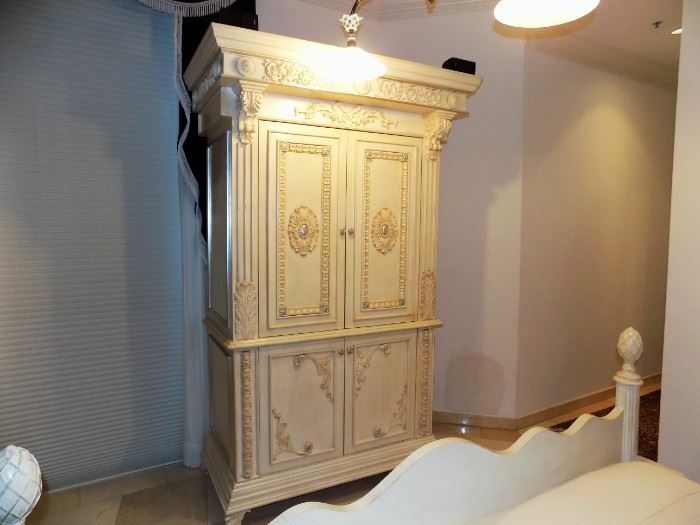 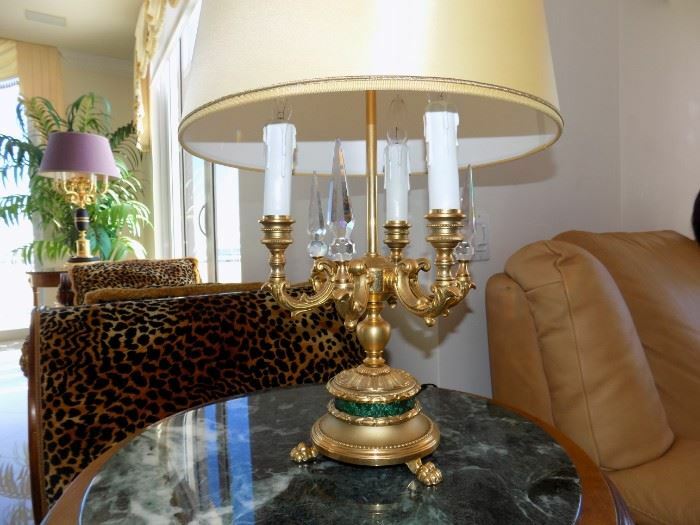 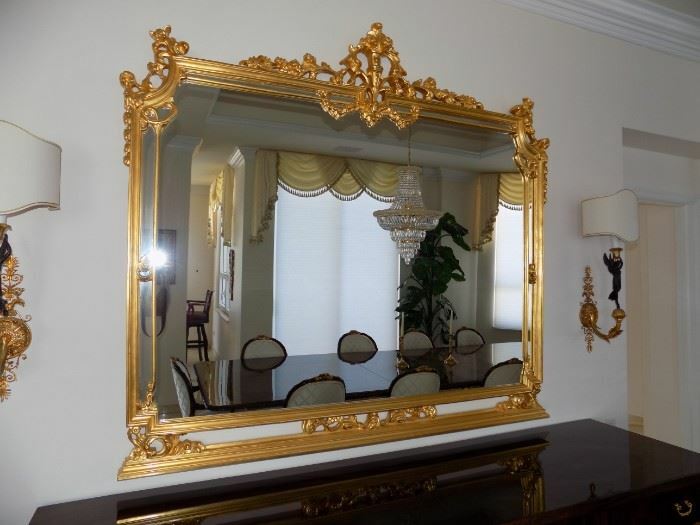 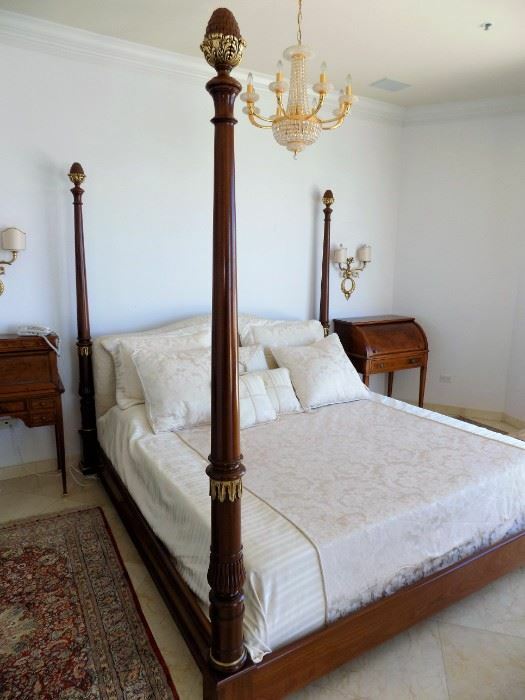 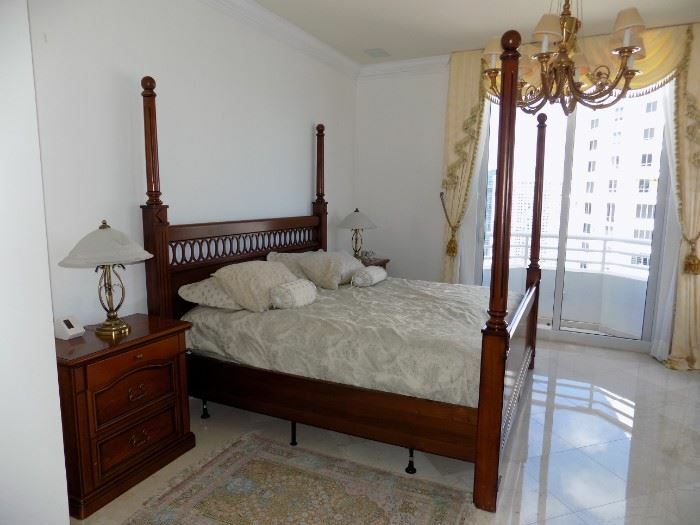 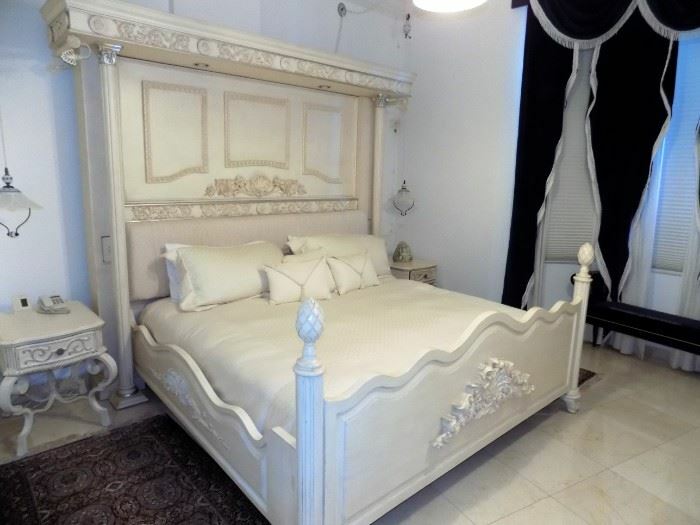 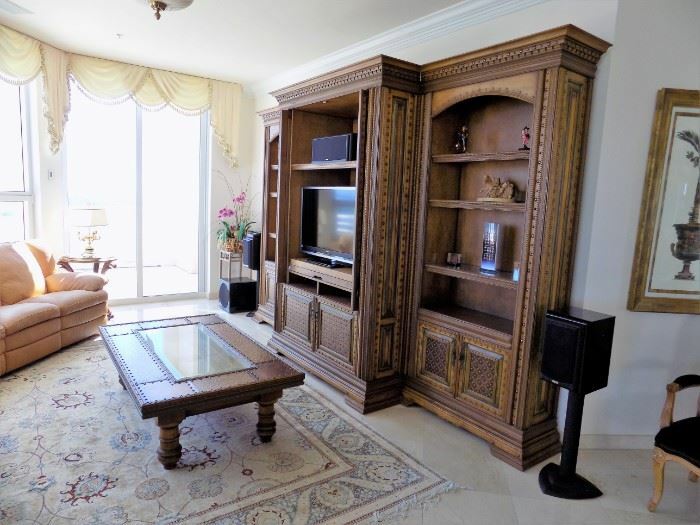 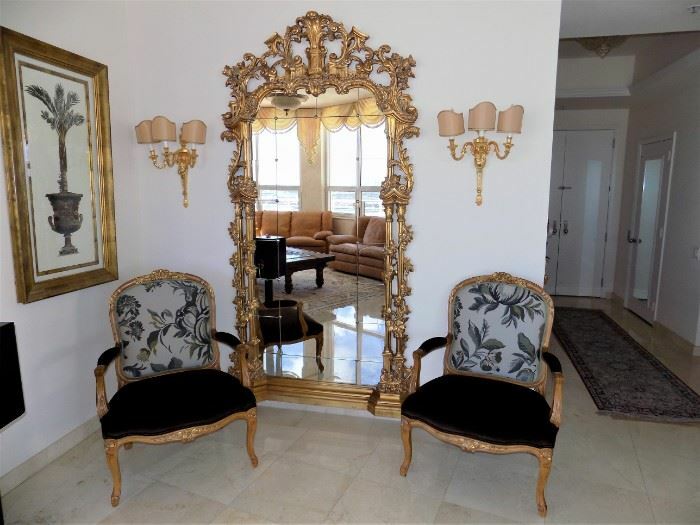 5500 SQ FT PENTHOUSE FILLED WITH FINE FRENCH DESIGNED FURNITURE AND MORE.. 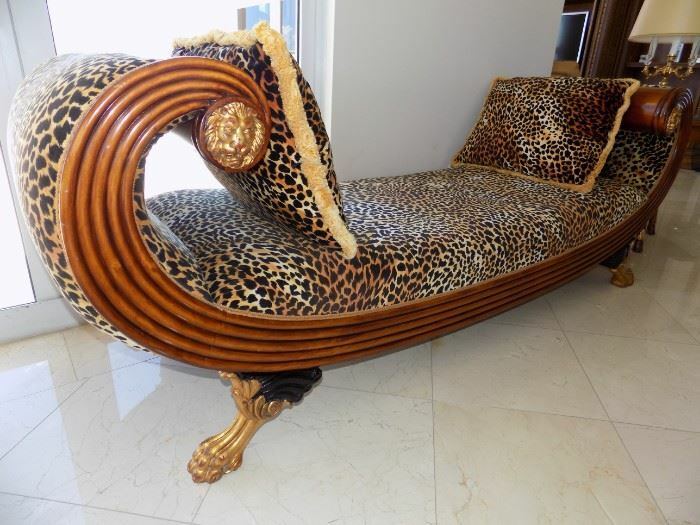 FANTASTIC !!!! 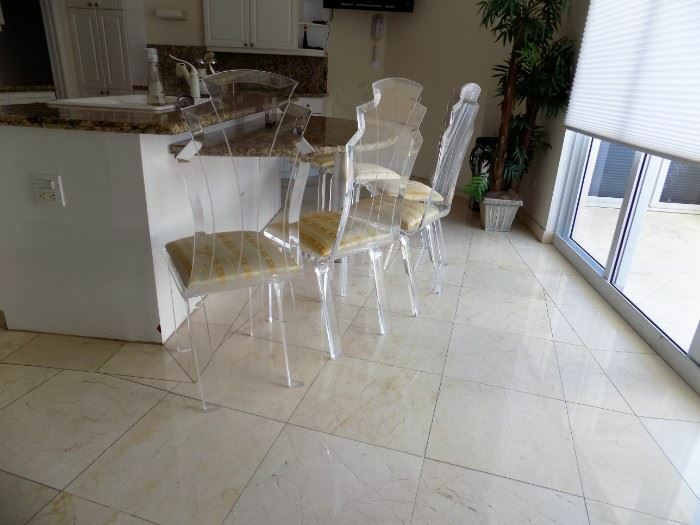 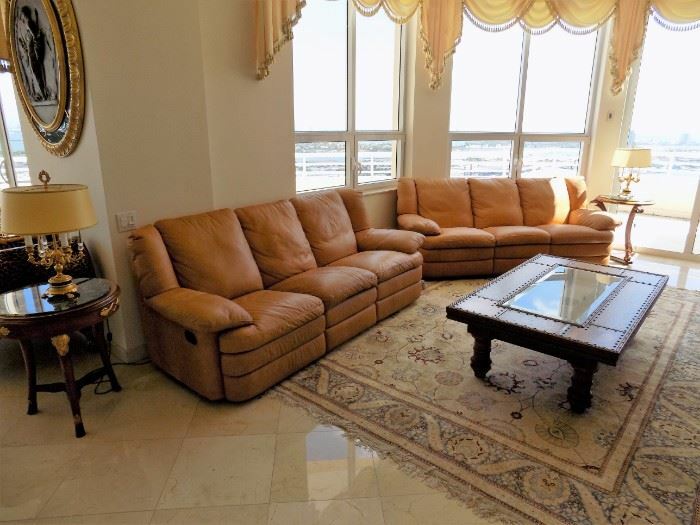 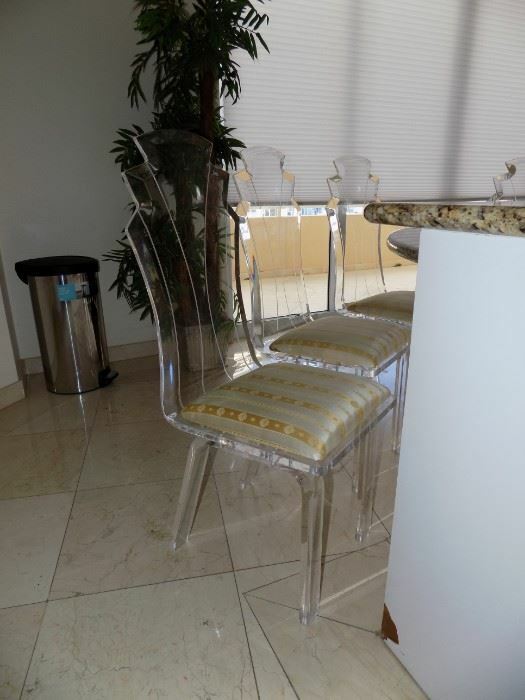 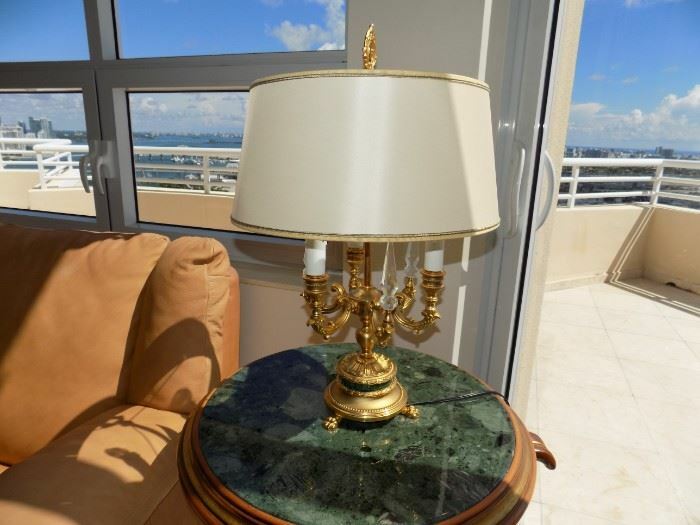 5500 SQ FT PENTHOUSE LOCATED ON BRICKELL KEY FILLED WITH FINE FRENCH DESIGNED FURNITURE AND MORE. 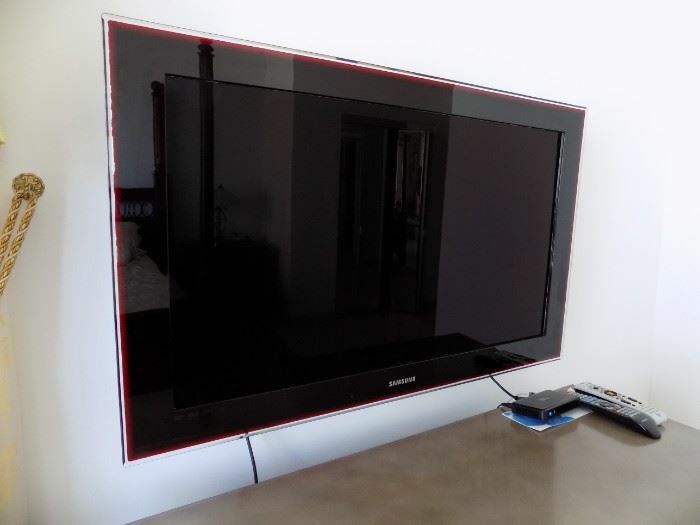 WE ARE SELLING NOW!!!! 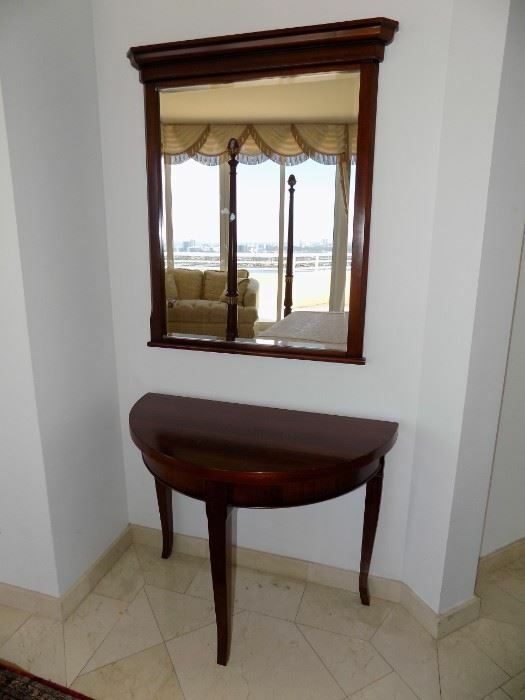 TO EMPTY THIS PENTHOUSE TO BE READY FOR THE CLOSING. 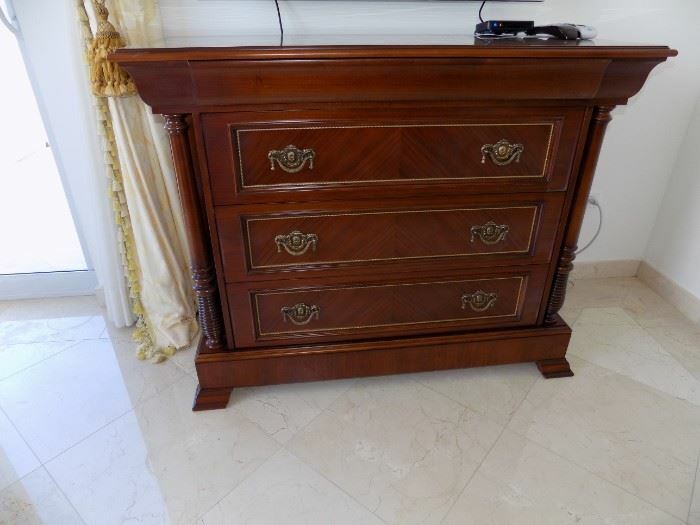 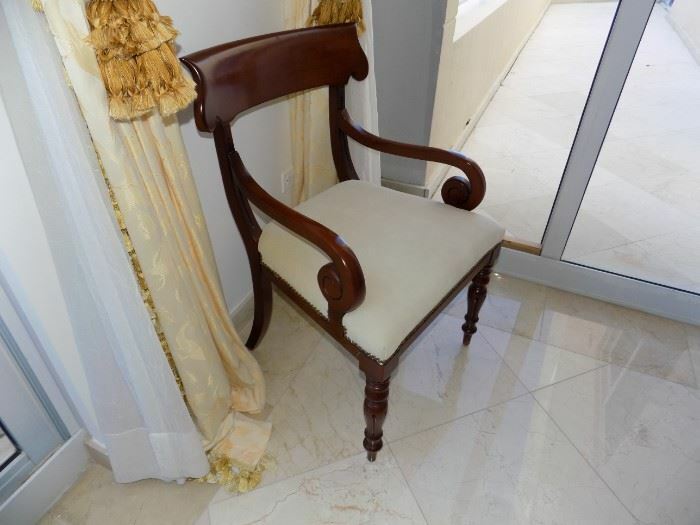 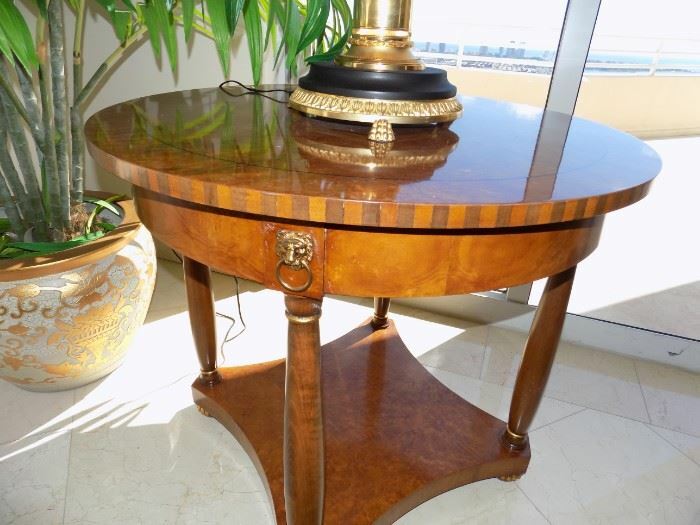 WE ARE OFFERING THESE FABULOUS PIECES AT A FRACTION OF THE ORIGINAL COST. 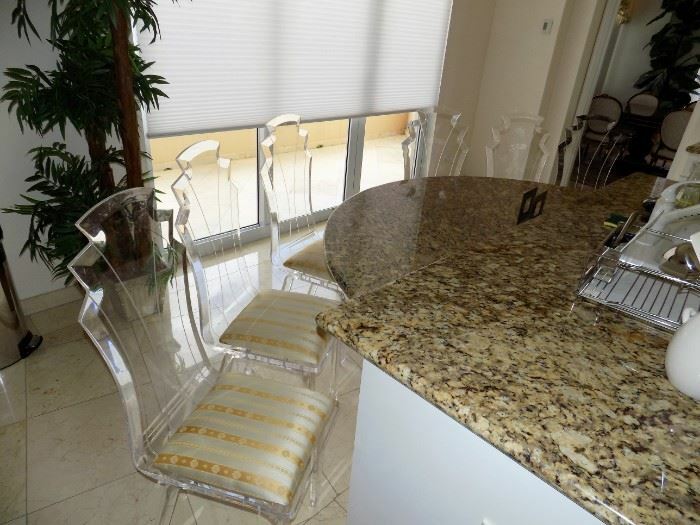 PLEASE CONTACT TINA AT 305-710-5697 TO SCHEDULE YOUR APPOINTMENT. 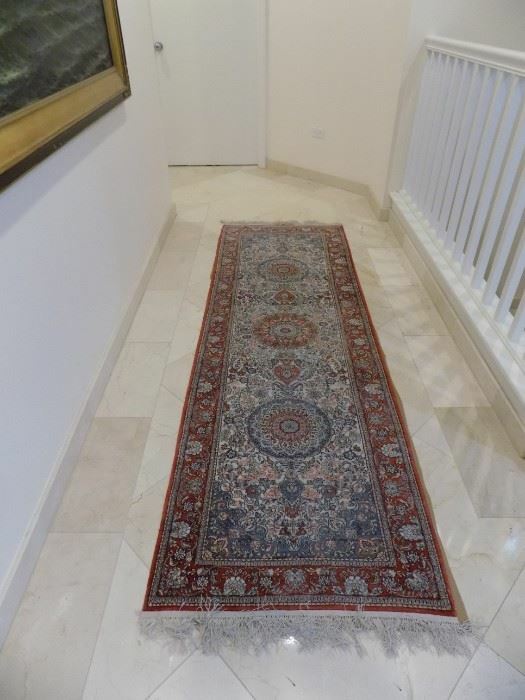 PLEASE SCROLL AND PREVIEW ALL THE PHOTOS. 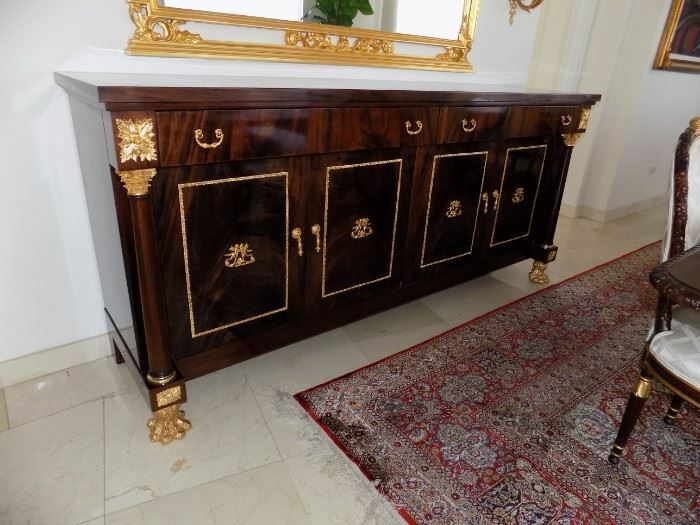 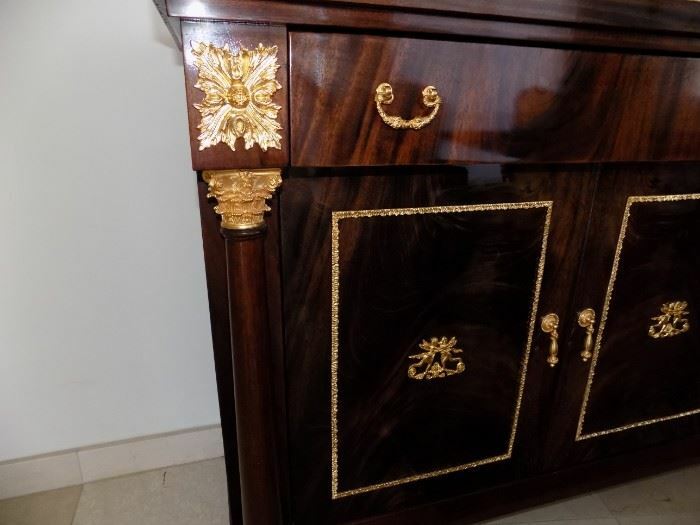 BEAUTIFUL 84"L CUSTOM CARVED EMPIRE STYLE SIDEBOARD EXECUTED IN ROSEWOOD WITH BRONZE TONE ORMOLU HARDWARE. 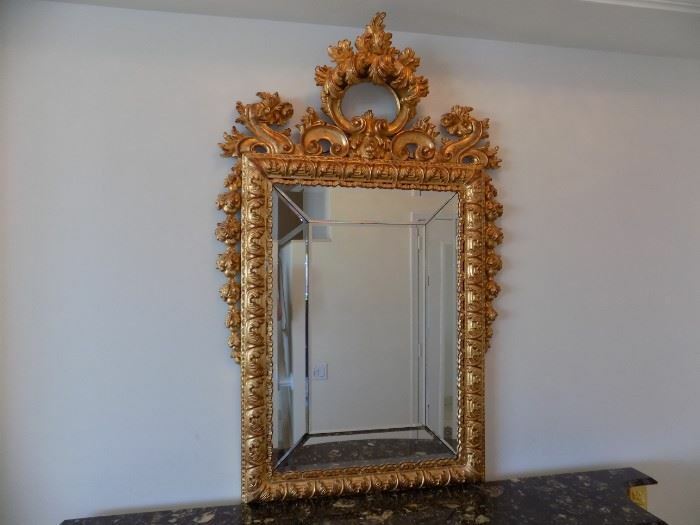 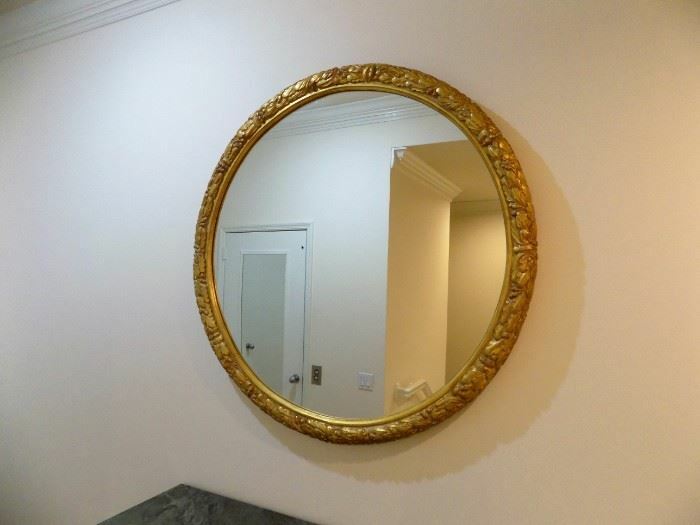 MULTIPLE GILT WOOD LOUIS XV ROCOCO STYLE MIRRORS. 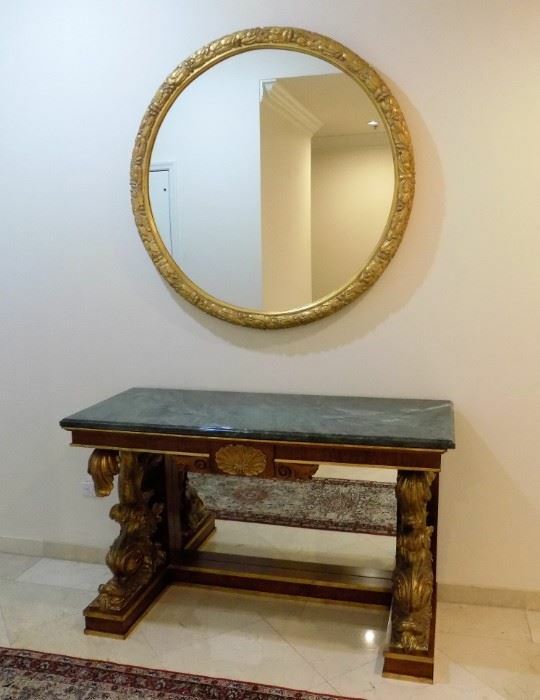 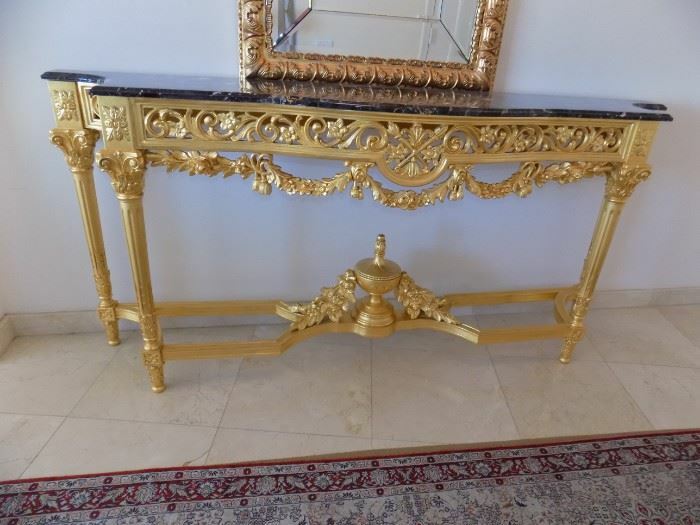 GILT WOOD LOUIS XV ROCOCO STYLE CONSOLE TABLE. 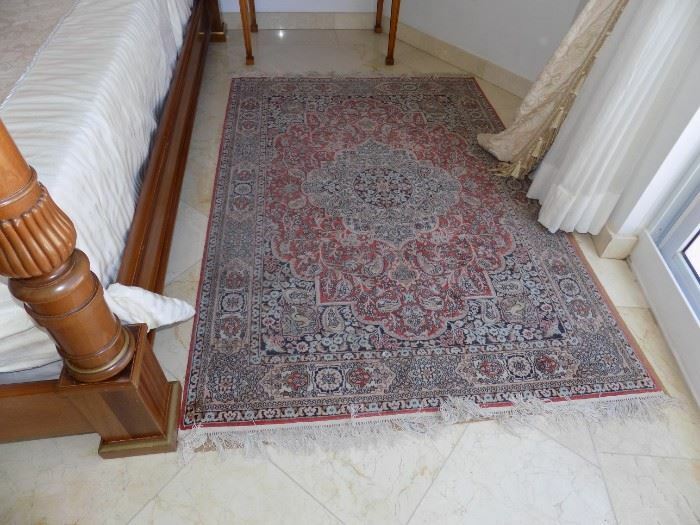 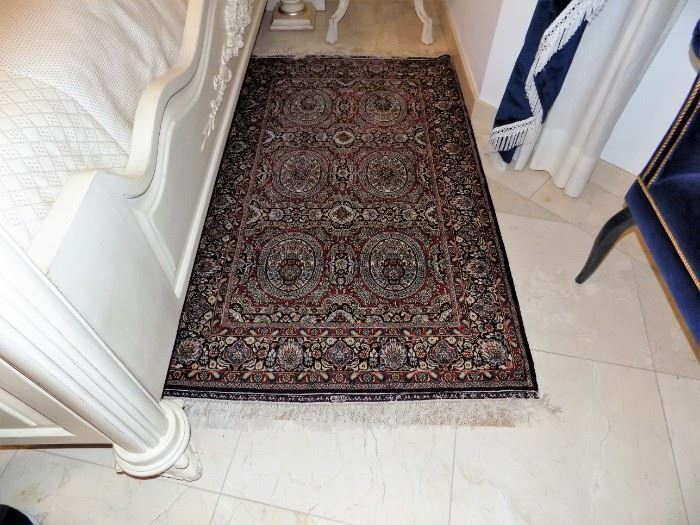 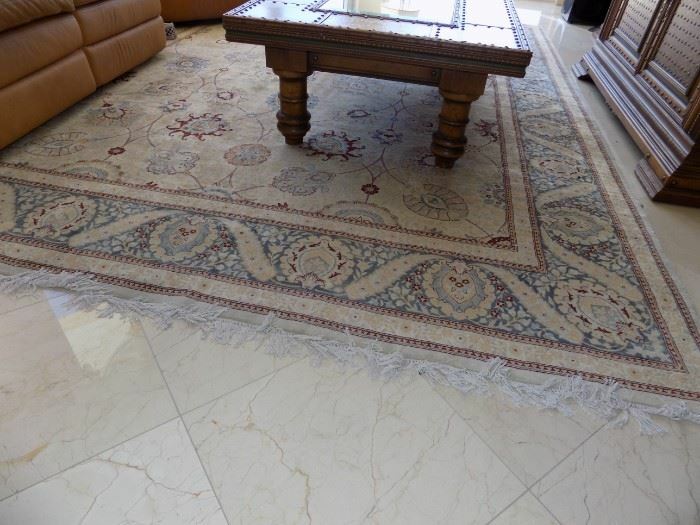 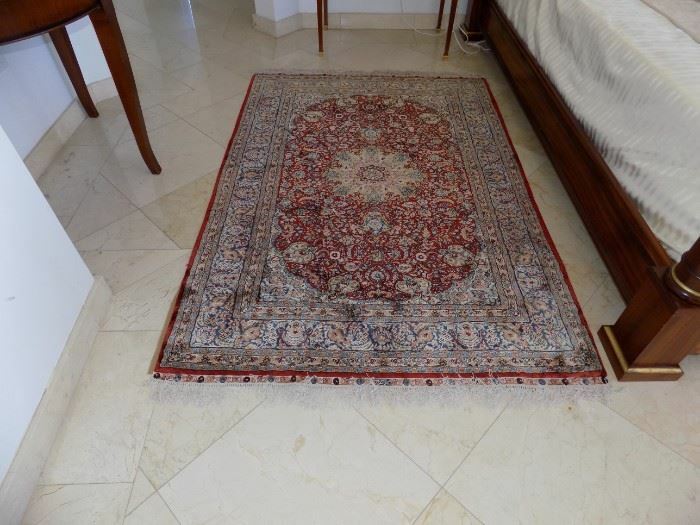 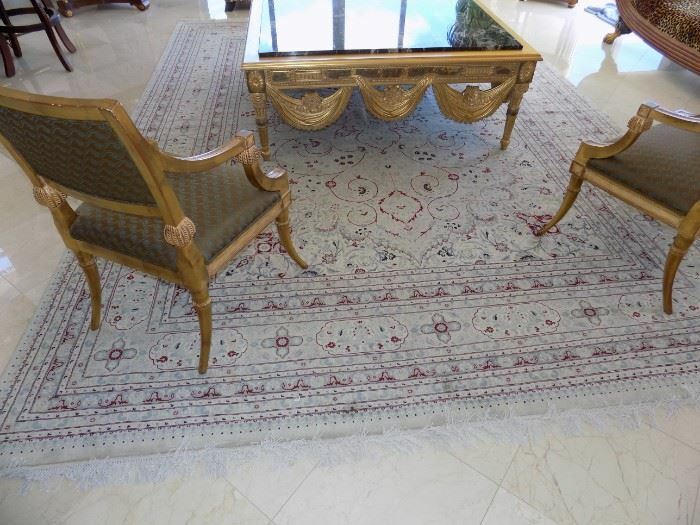 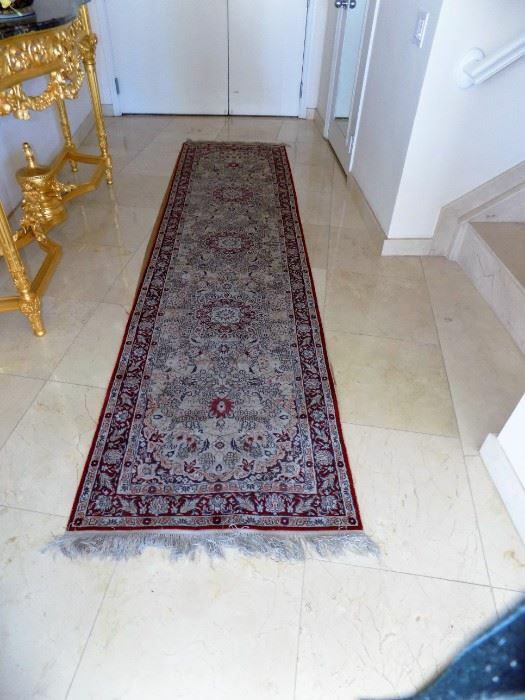 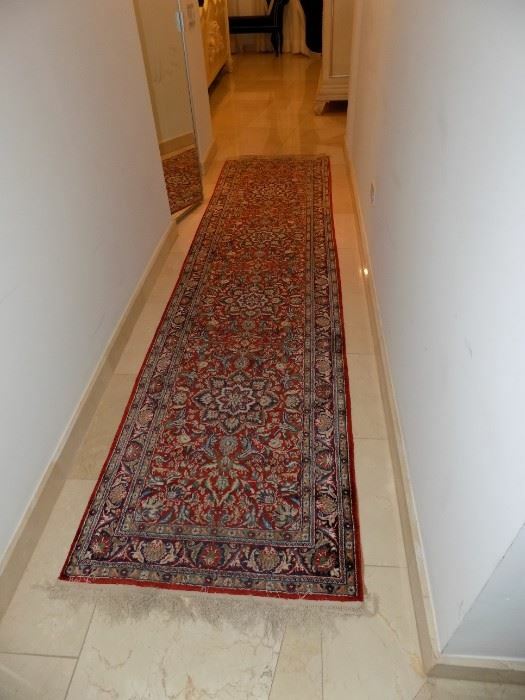 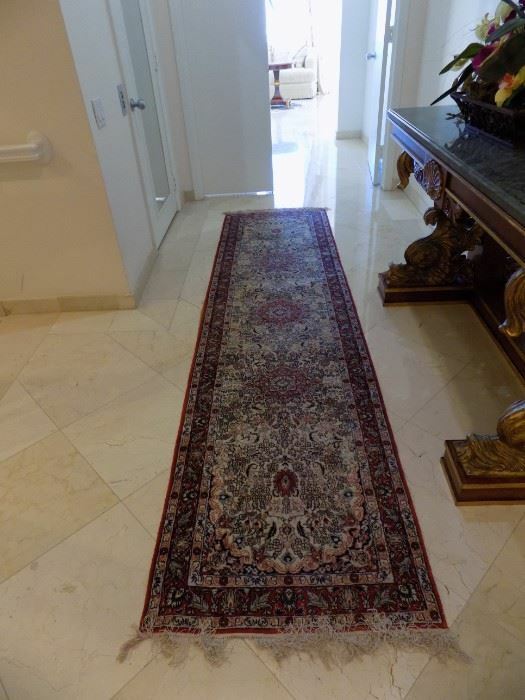 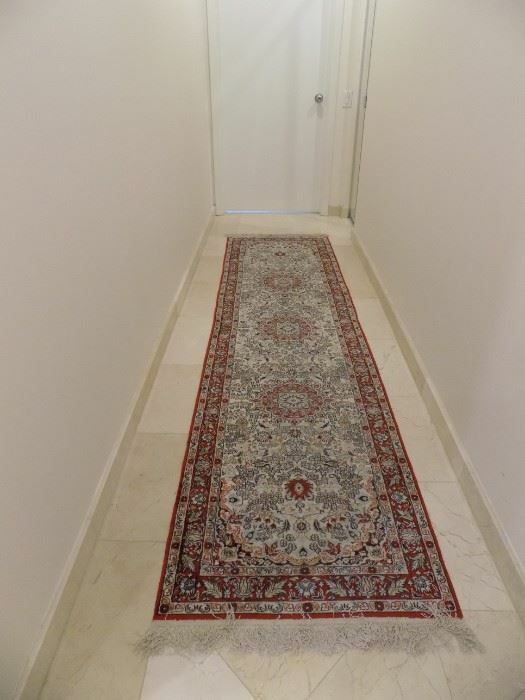 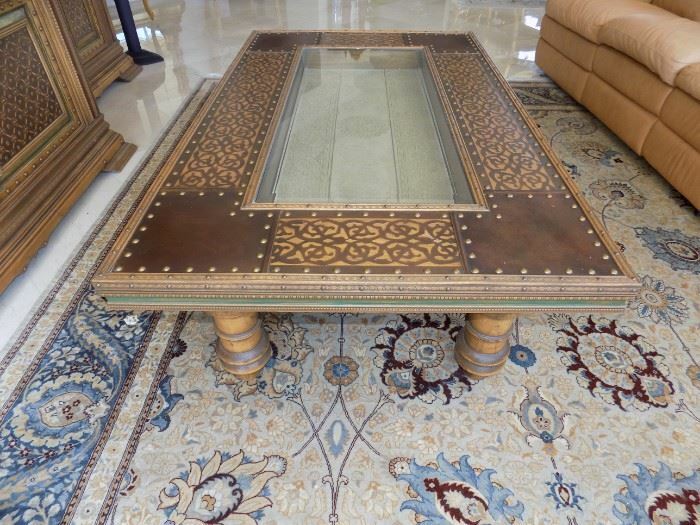 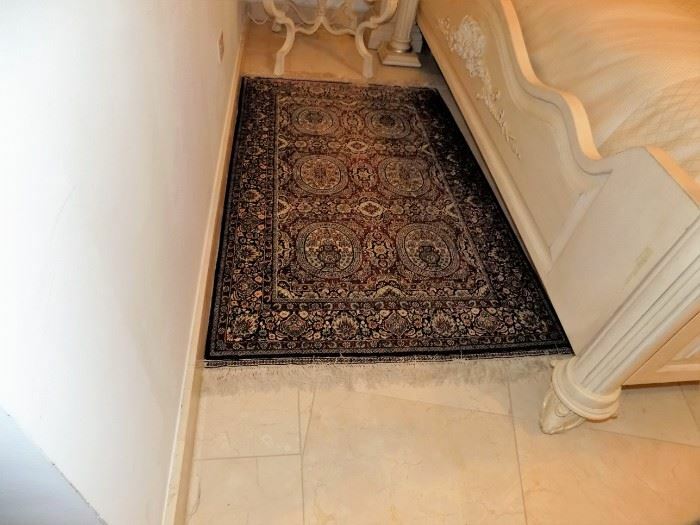 GREAT SELECTION OF PERSIAN HAND KNOTTED AREA RUGS TO RUNNERS. 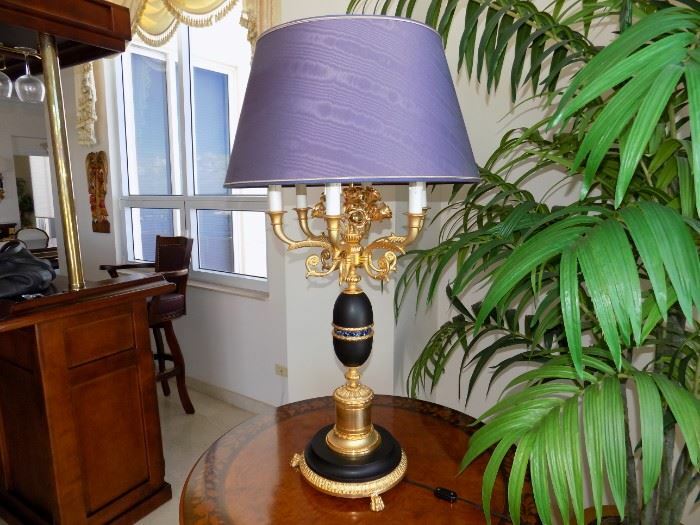 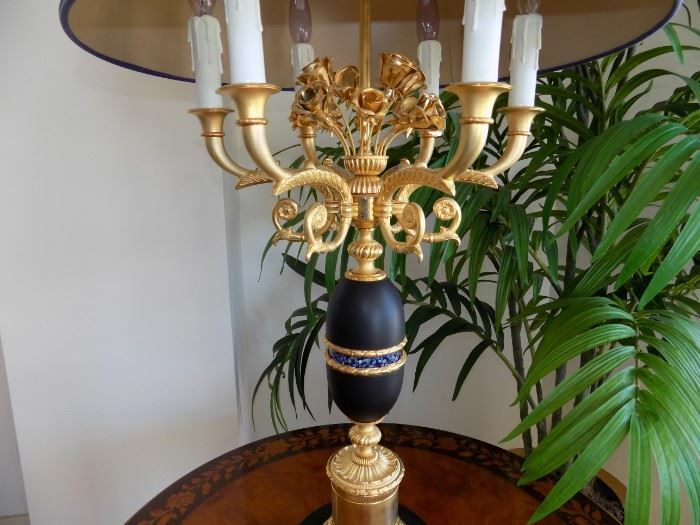 ELEGANT PAIRS BRONZE LAMPS WITH LAPIS LAZULI AND MALACHITE FRAGMENTED INSETS. 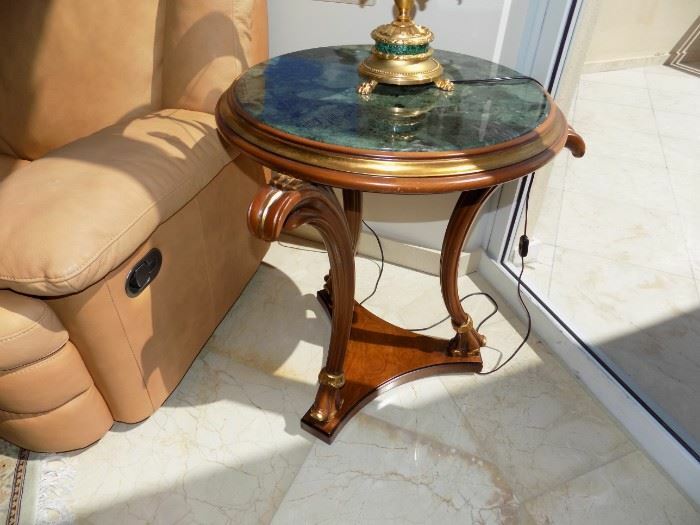 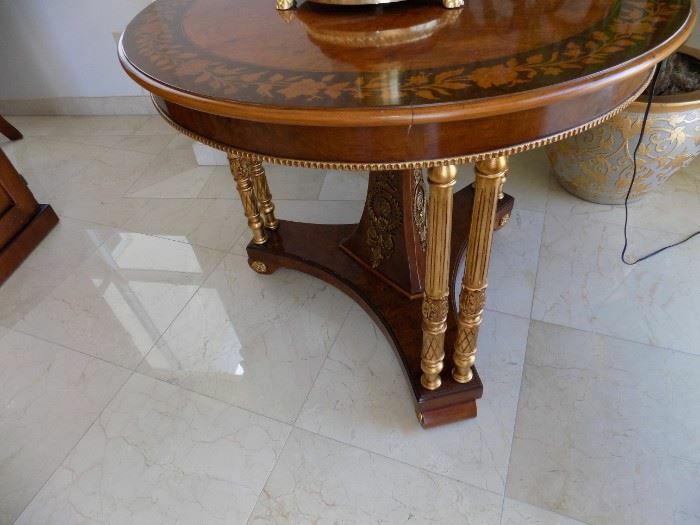 NICE SELECTION OF EMPIRE STYLE SIDE TABLES WITH VARIEGATED MARBLE TOPS. 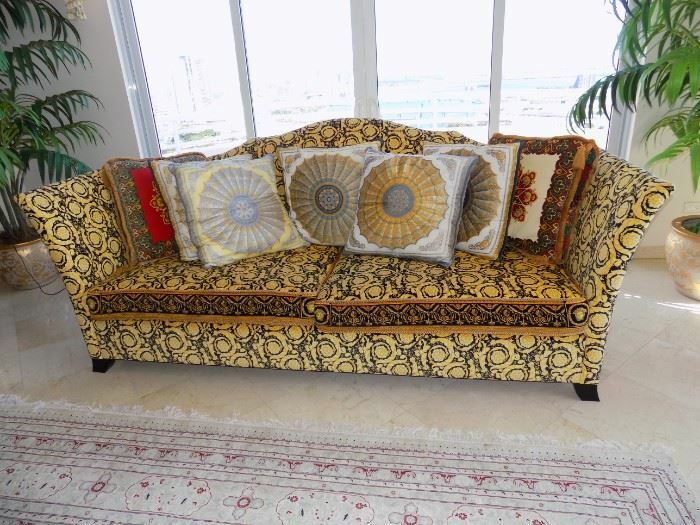 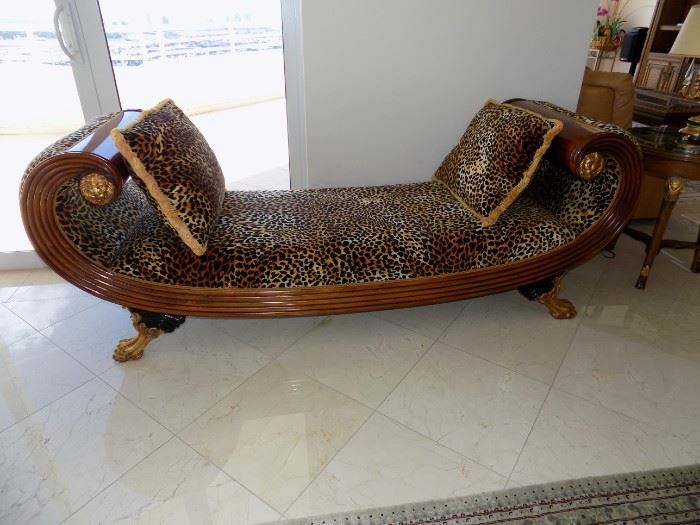 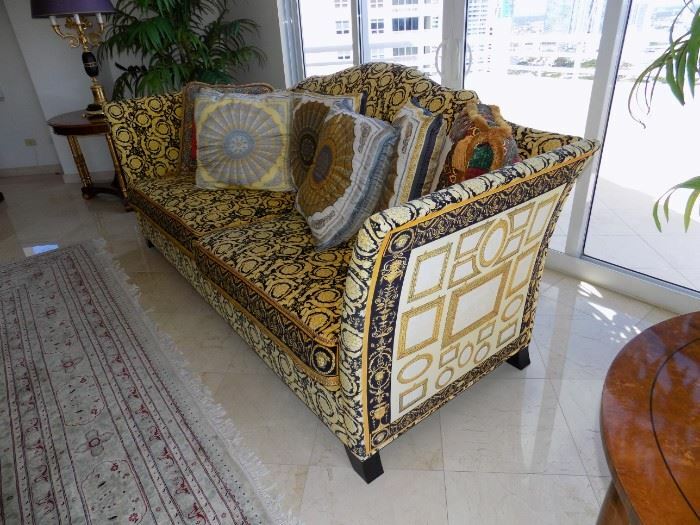 9 FT. LONG VERSACE SOFA. 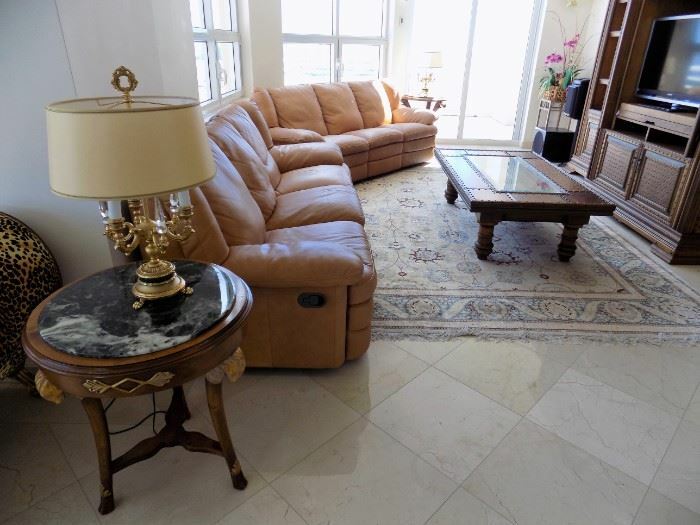 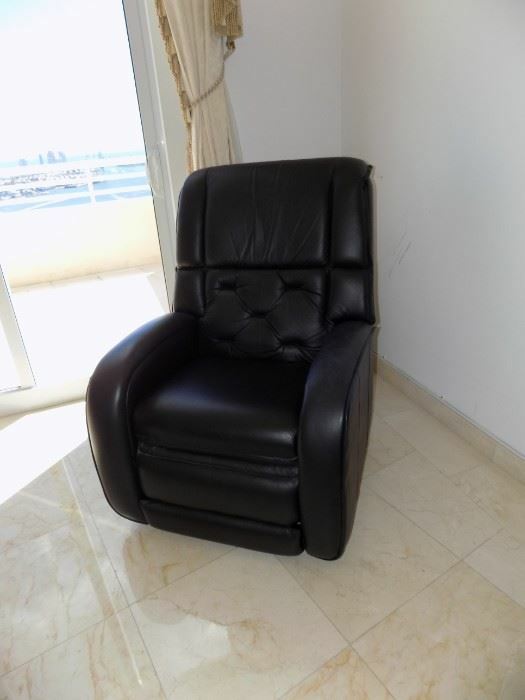 MATCHING PAIR OF LEATHER RECLINING SOFAS. 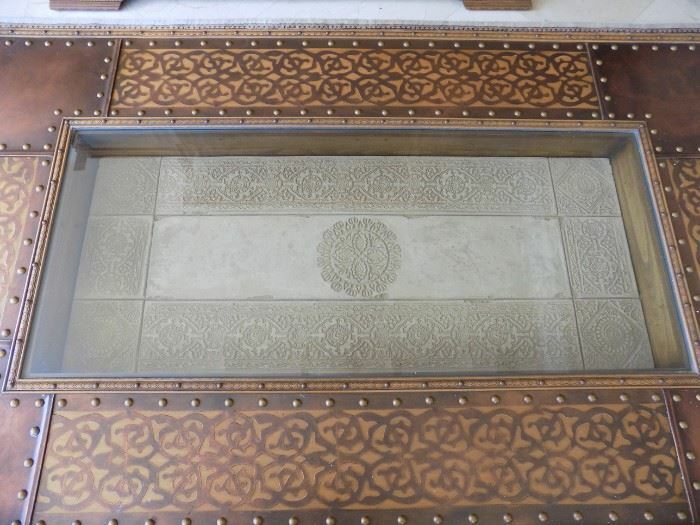 INTERESTING COFFEE TABLE WITH BRASS NAIL HEAD TRIM . 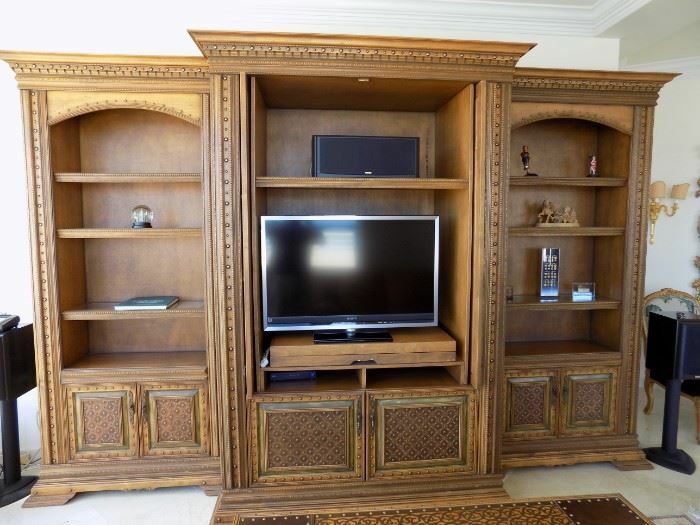 CUSTOM DESIGNED 12 FT WIDE WALL UNIT. 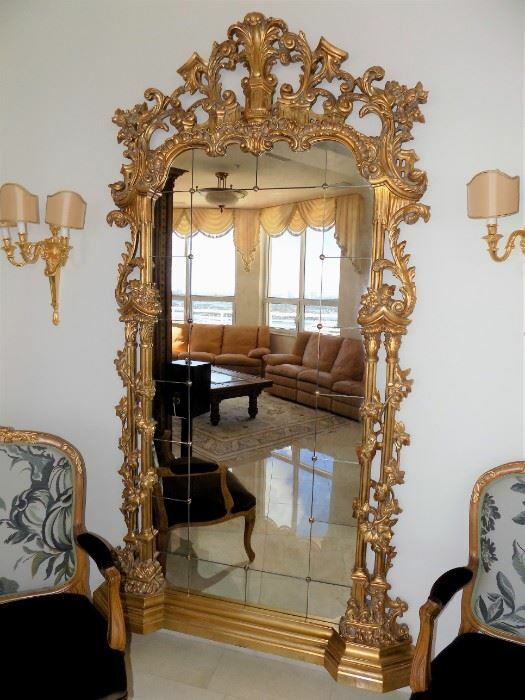 SUPER CHIPPENDALE STYLE GILT WOOD MIRROR WITH RED UNDERTONES MEASURING 94"H X 57"W.
STUNNING PAIR OF LOUIS XV STYLE OPEN ARM CHAIRS. 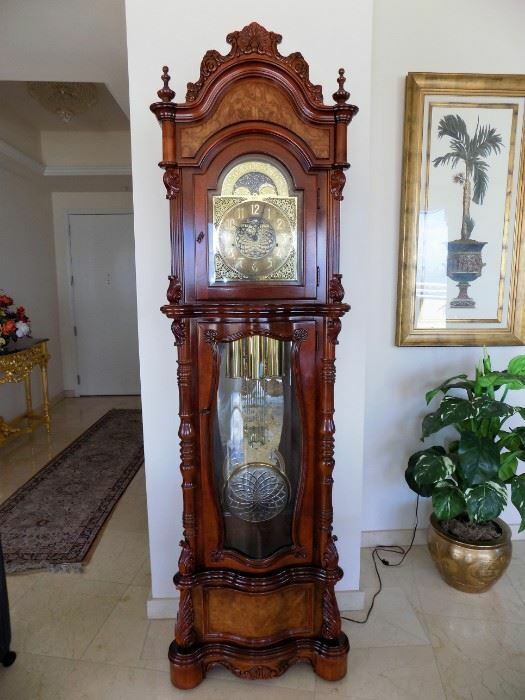 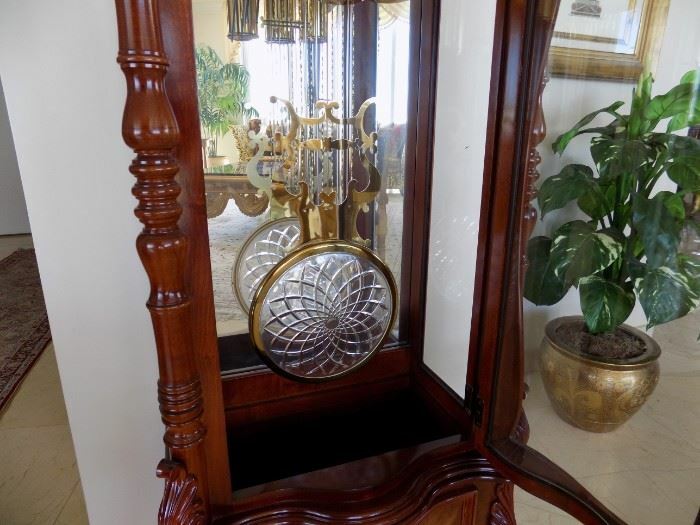 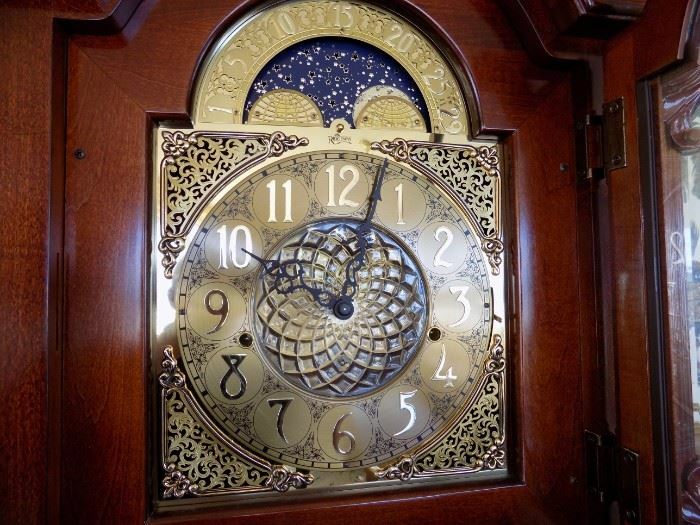 GRANDFATHER CLOCK EXECUTED IN SOLID MAHOGANY AND FLAME MAHOGANY. 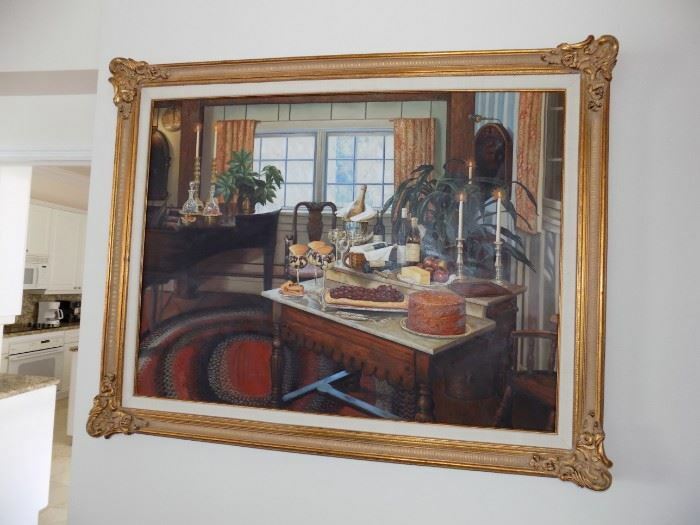 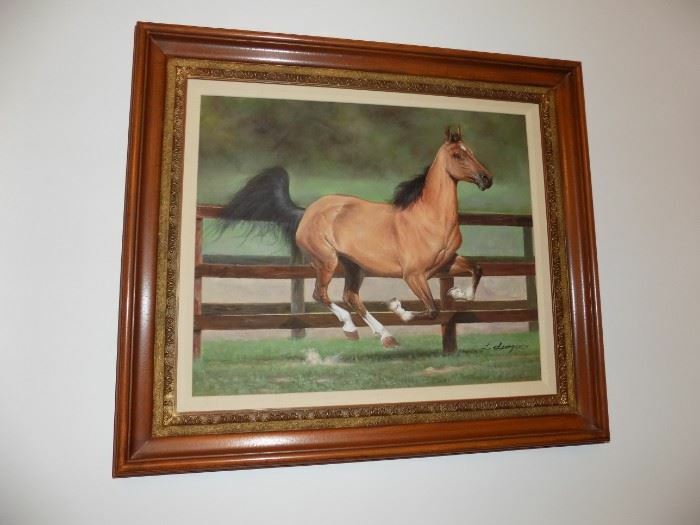 NICE SELECTION OF ORIGINAL PAINTINGS. 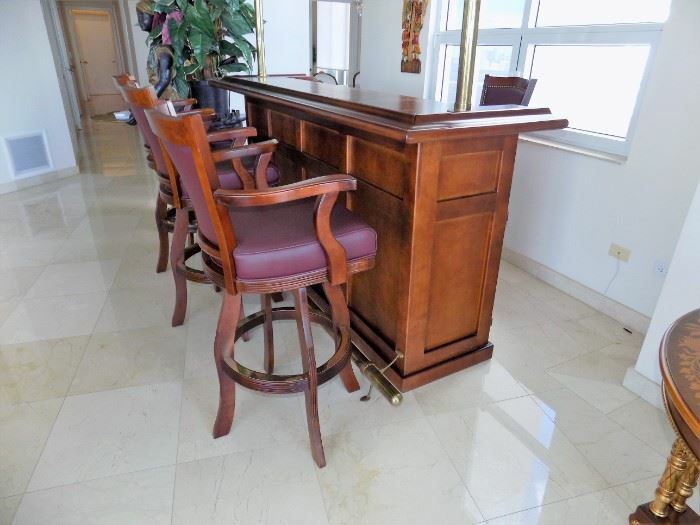 FREE STANDING MAHOGANY FINISHED BAR WITH 4 BARSTOOLS EXECUTED IN LEATHER. 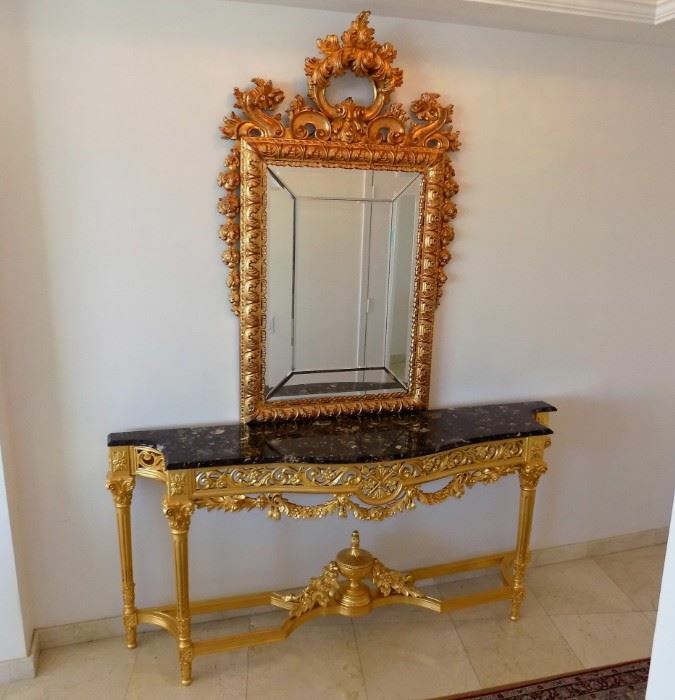 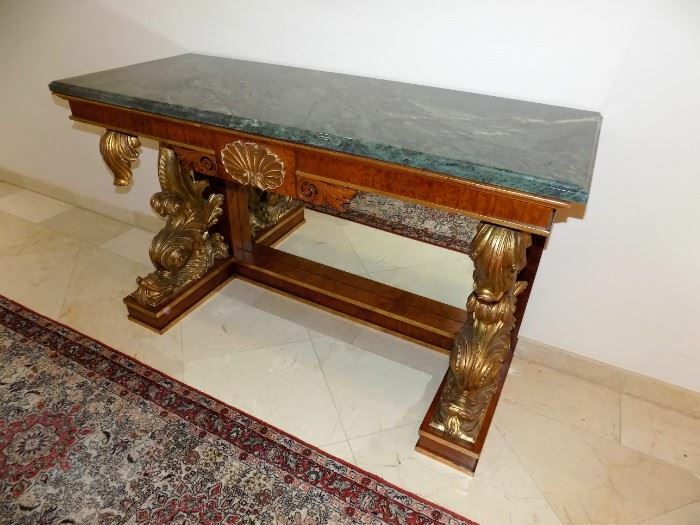 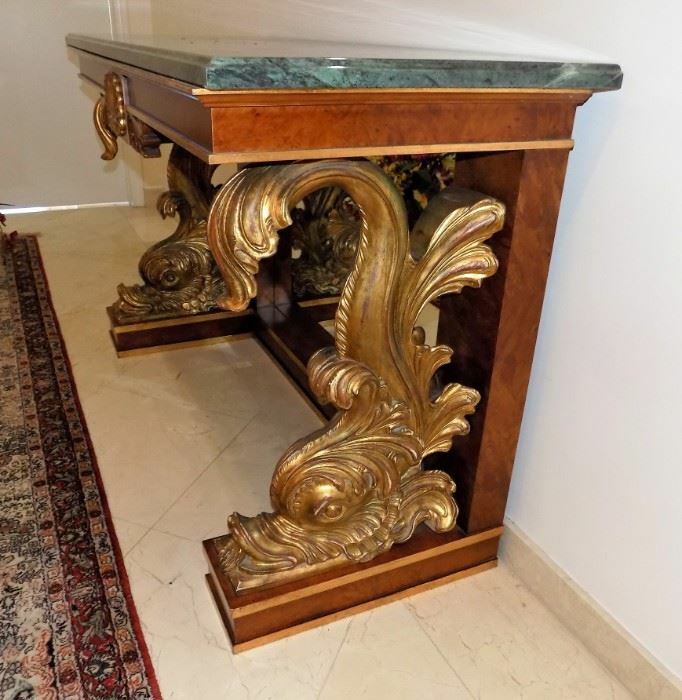 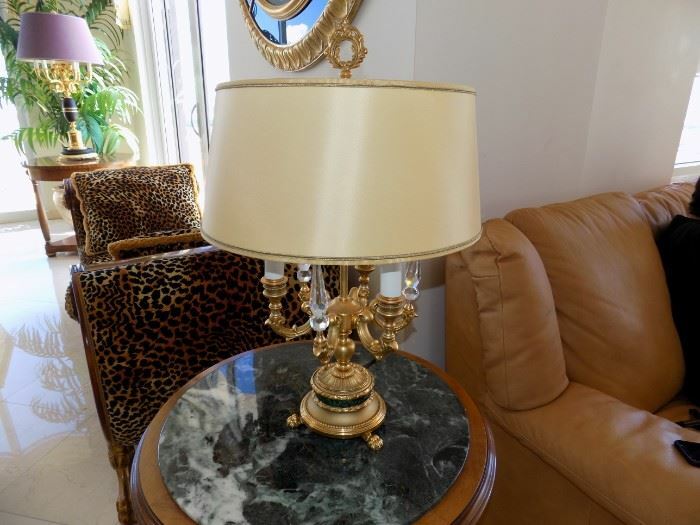 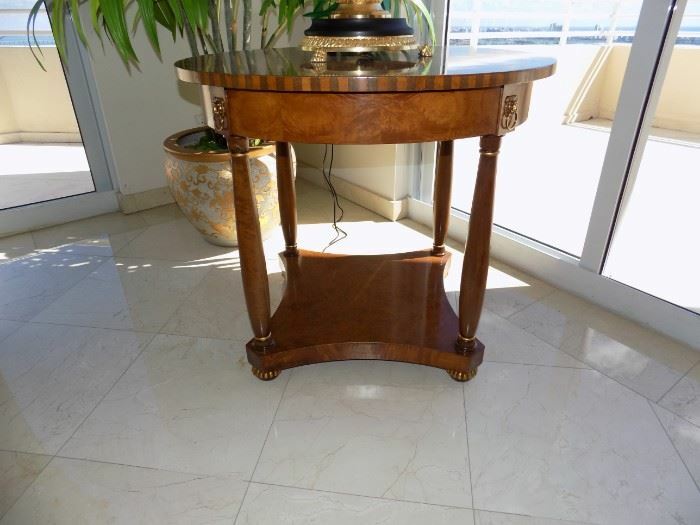 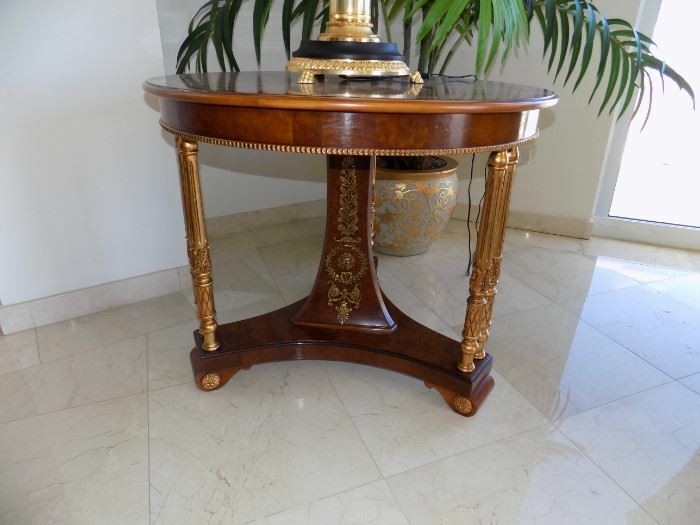 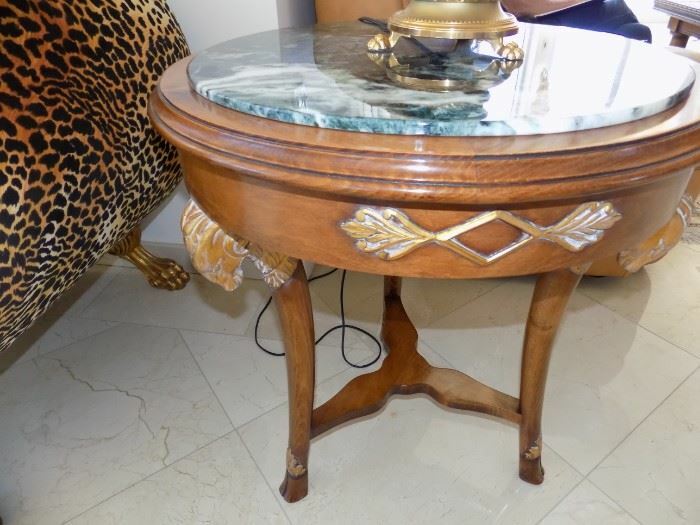 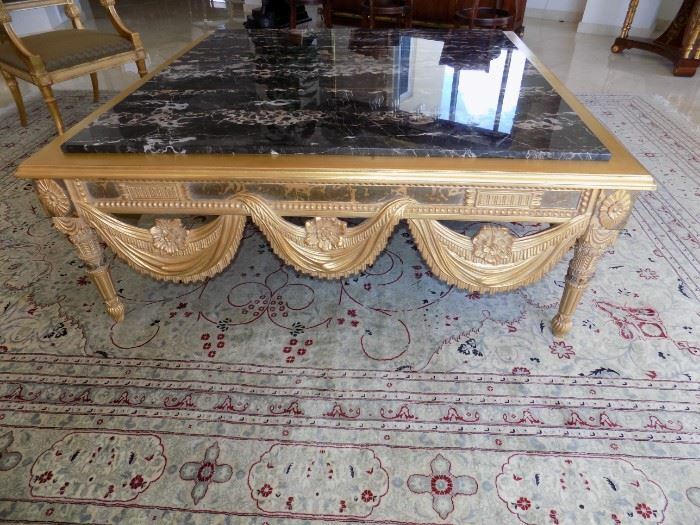 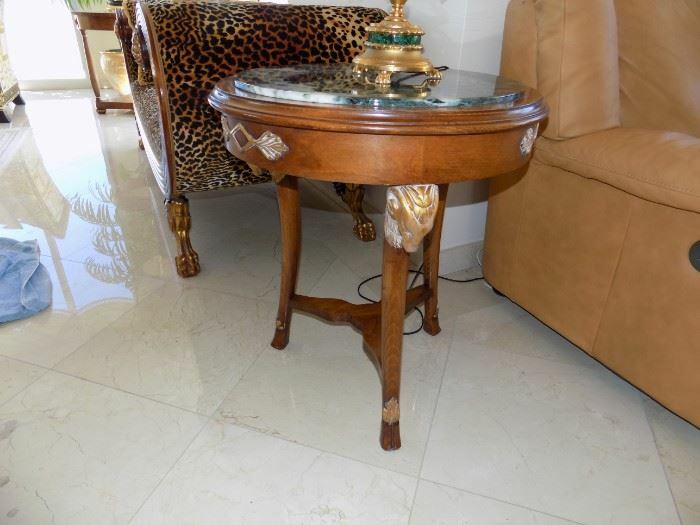 EMPIRE STYLE CENTER TABLE WITH GOLD APPLIQUES. 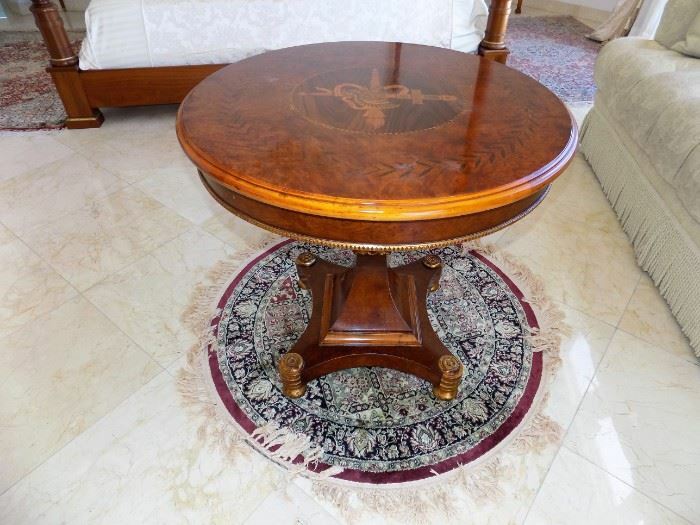 MARBLE TOP COFFEE TABLE WITH CARVED DRAPED SWAGS- 57.5" SQ. 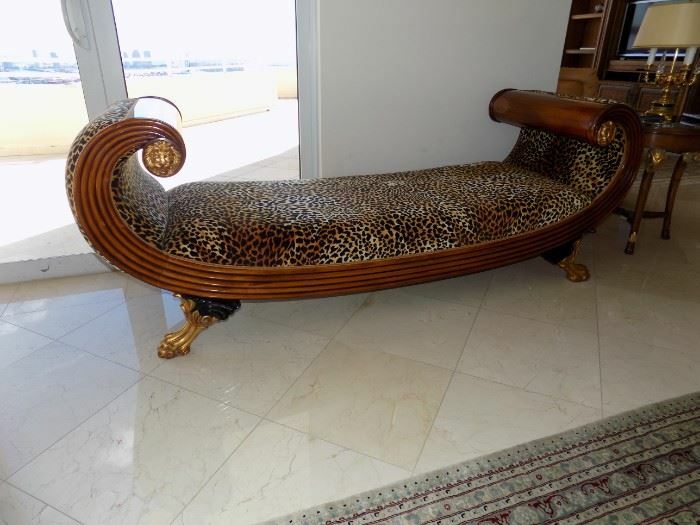 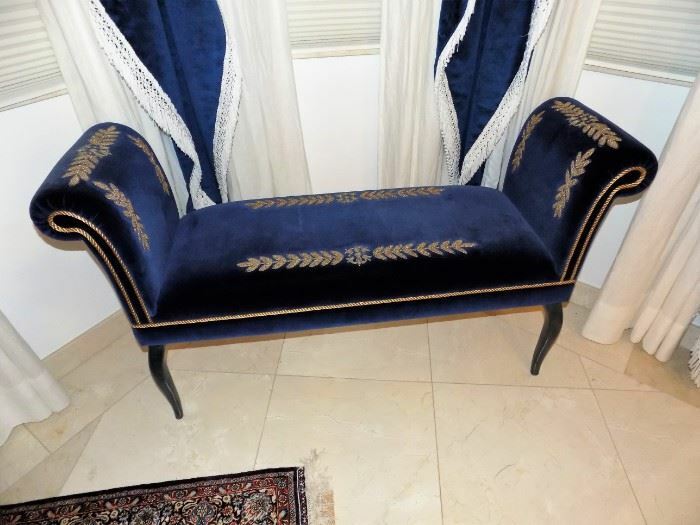 REGENCY STYLE ROLLED ARM DAYBED / BENCH WITH EXAGGERATED GILDED PAW FEET- 90"L.
BEAUTIFUL PAIR OF EMPIRE STYLE ARMCHAIRS WITH GREAT CARVED DETAILS. 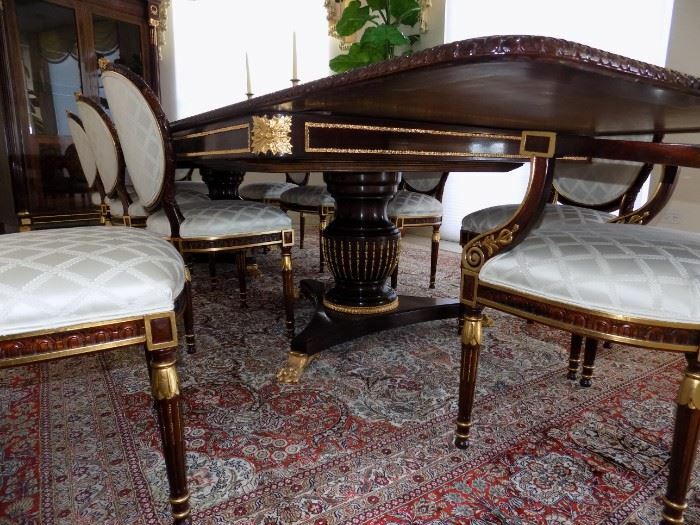 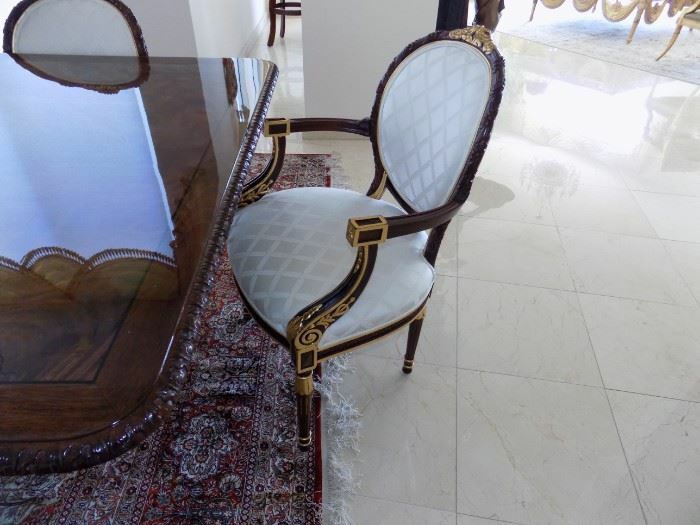 STUNNING LOUIS XVI STYLE DINING TABLE WITH 10 CHAIRS. 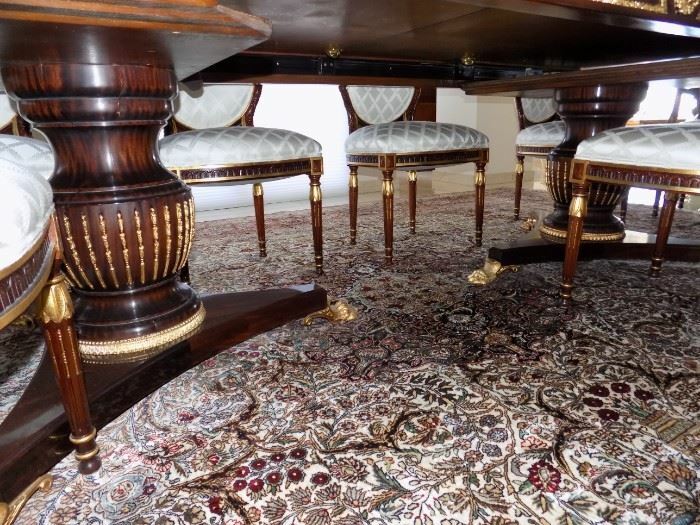 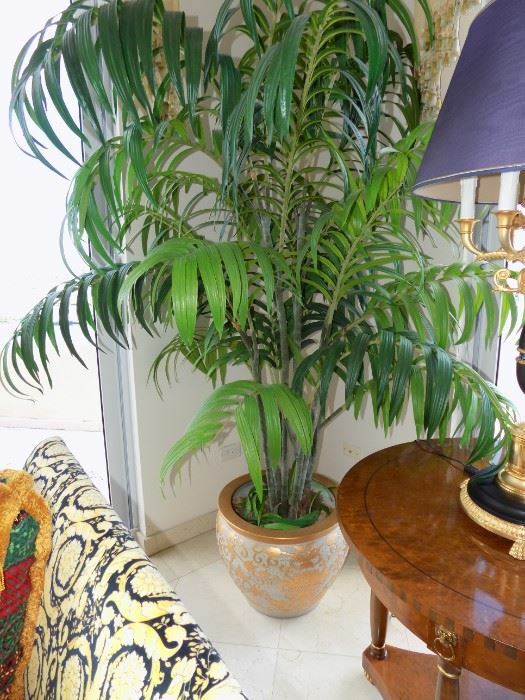 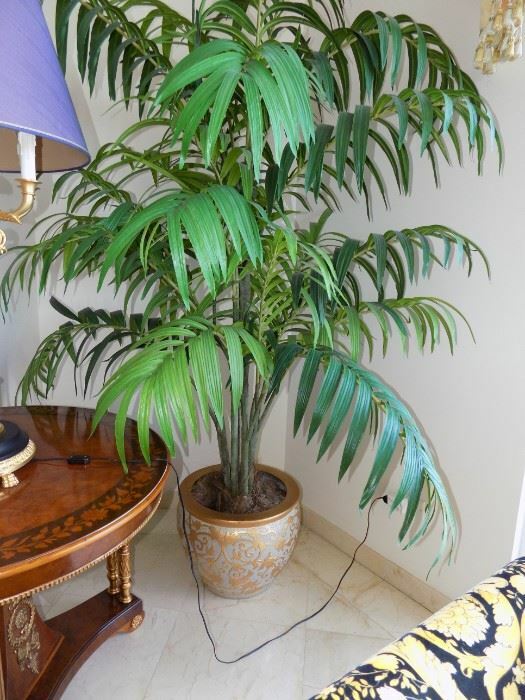 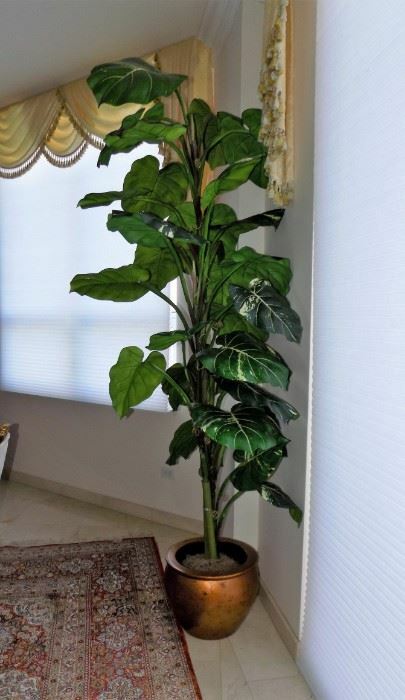 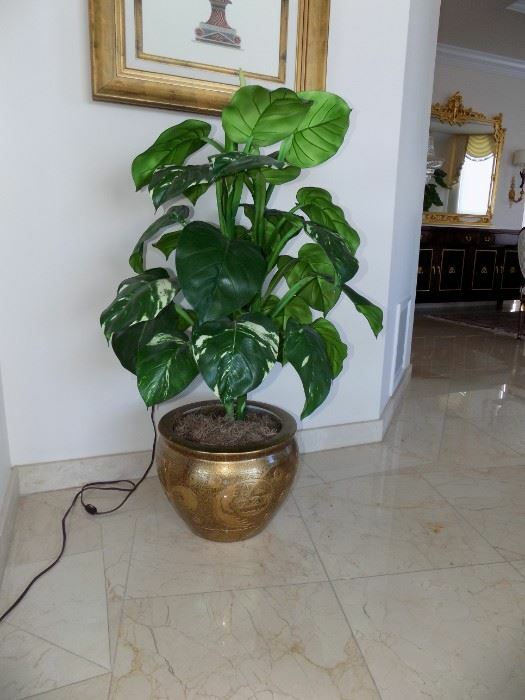 TABLE MEASURES 156" X 52" WHEN FULLY EXTENDED WITH LEAVES. 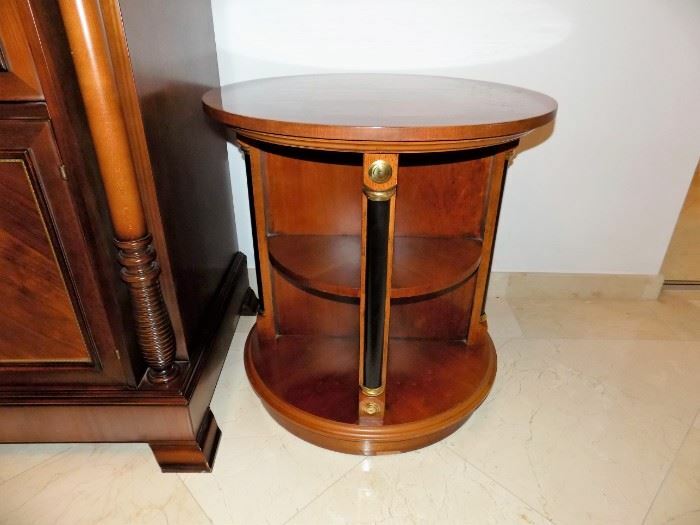 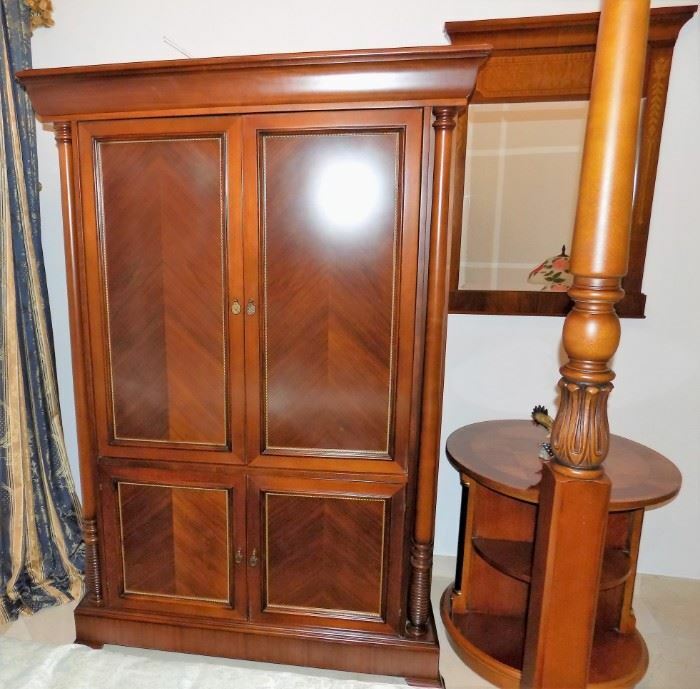 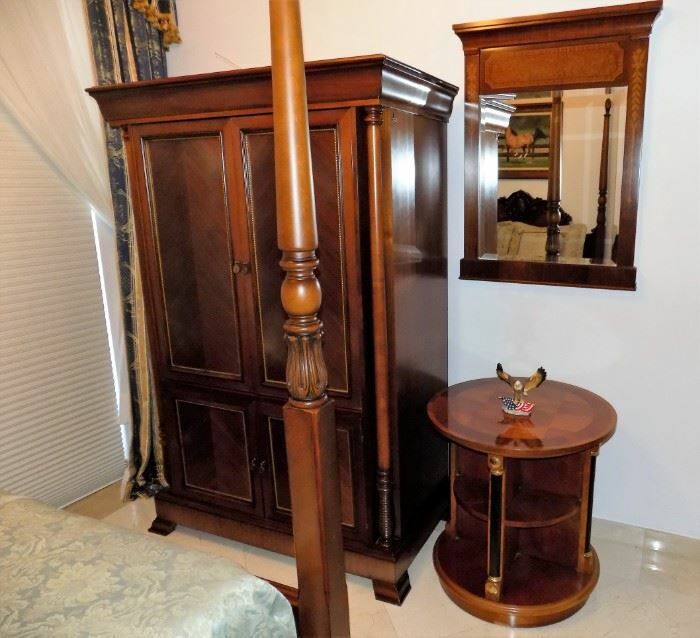 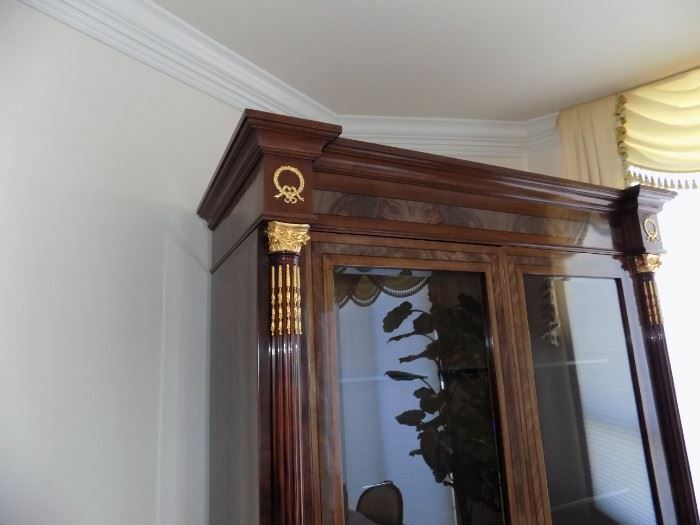 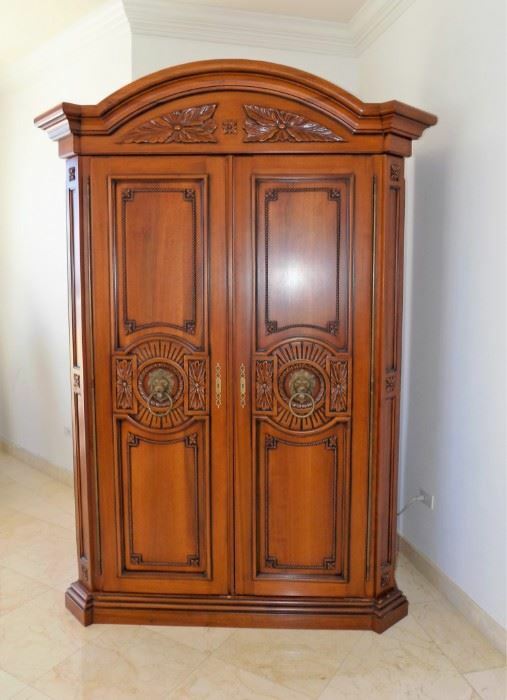 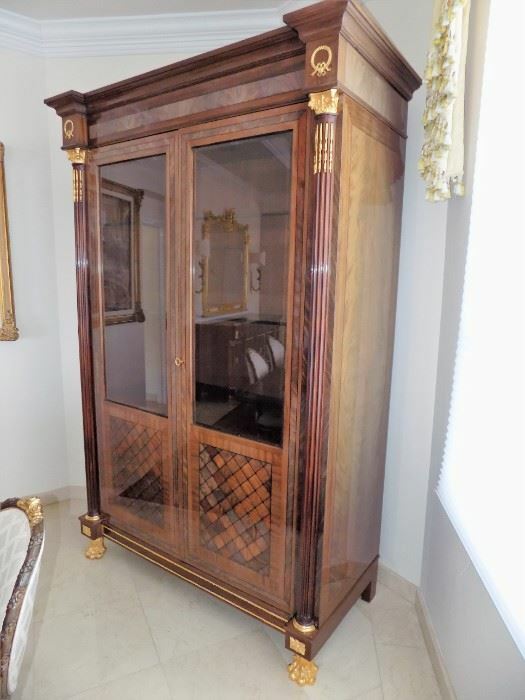 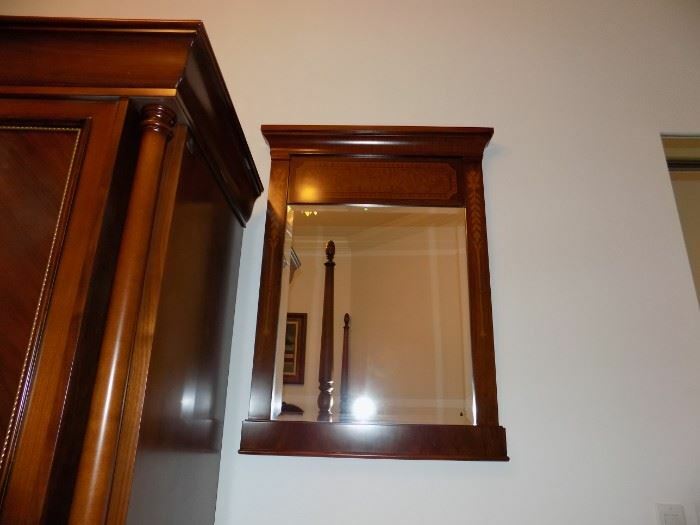 FINE CHINA CABINET MEASURING 92'' H EXECUTED IN MAHOGANY AND ROSEWOOD. 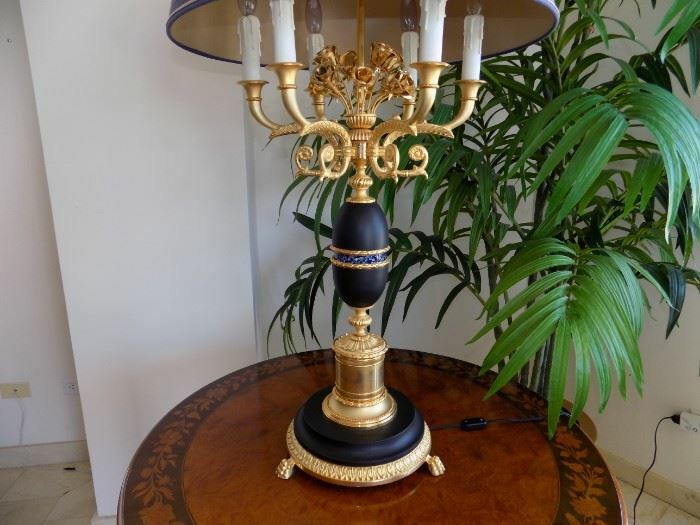 PAIR OF BRONZE FRENCH STYLE CANDELABRAS WITH WINGED FEMALES MEASURING 31" H.
SET OF 6 LUCITE DINING CHAIRS IN EXCELLENT CONDITION. 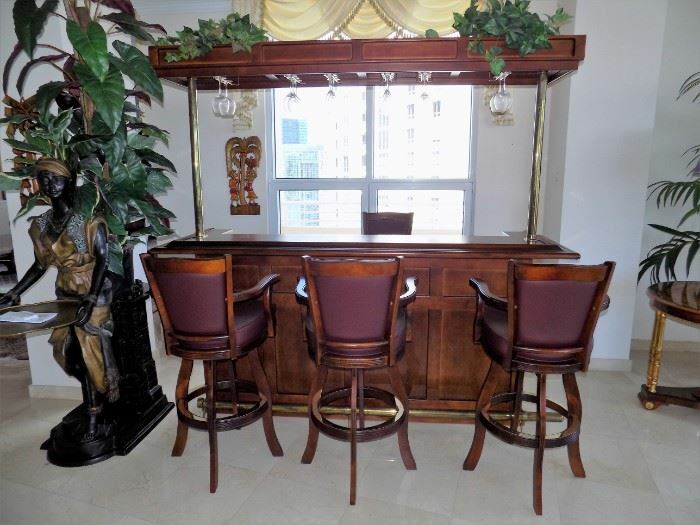 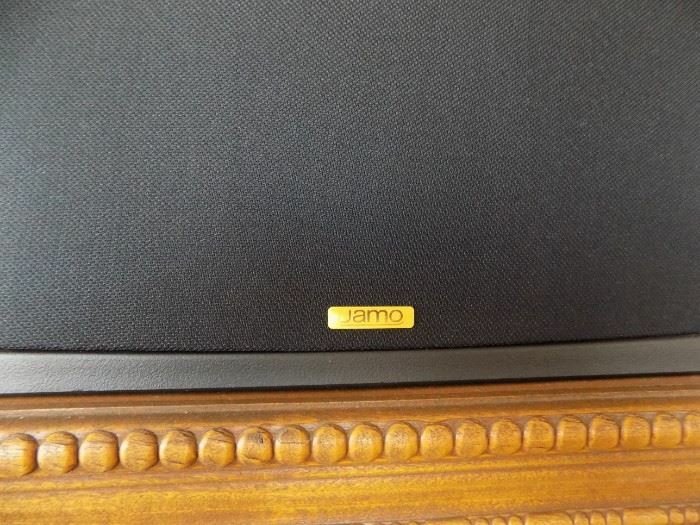 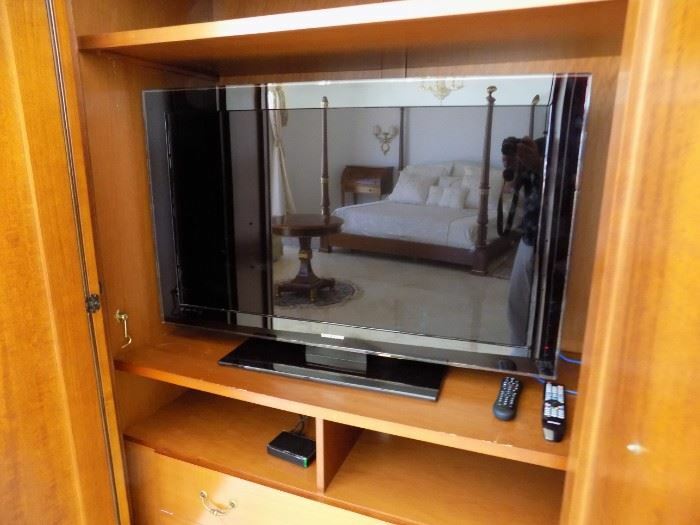 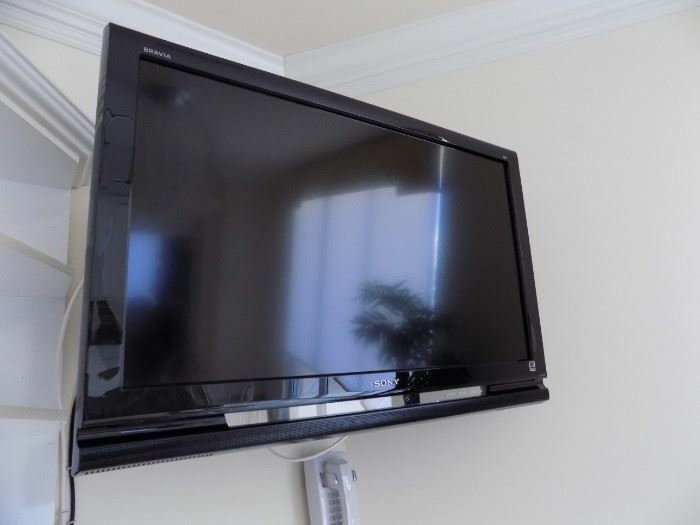 MULTIPLE FLAT SCREEN TV'S, SOUND SYSTEM ETC. 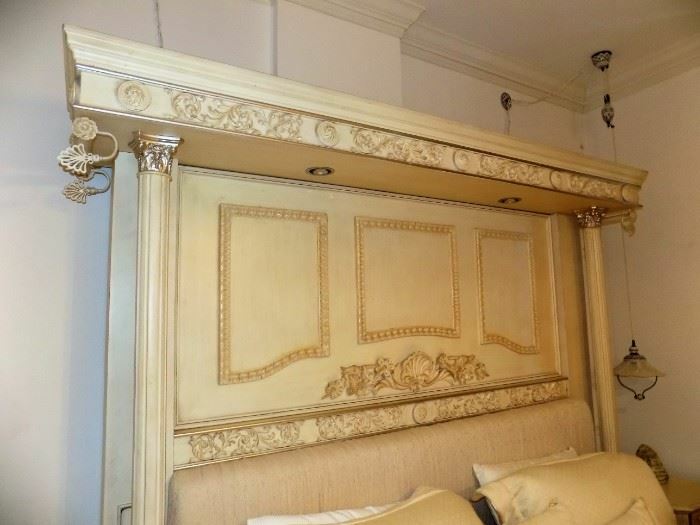 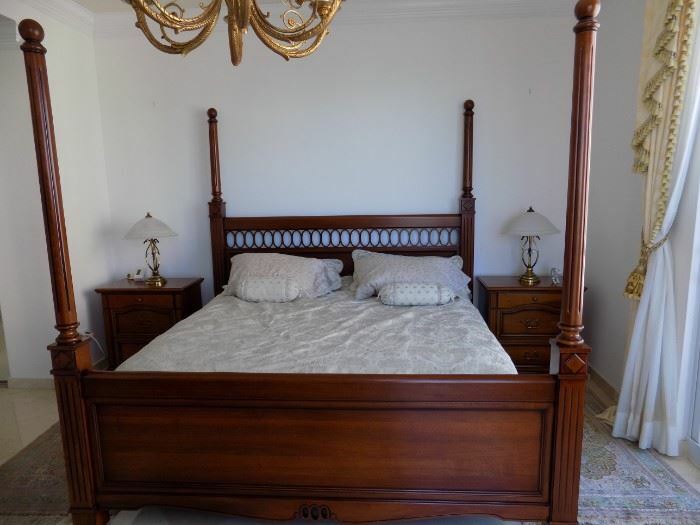 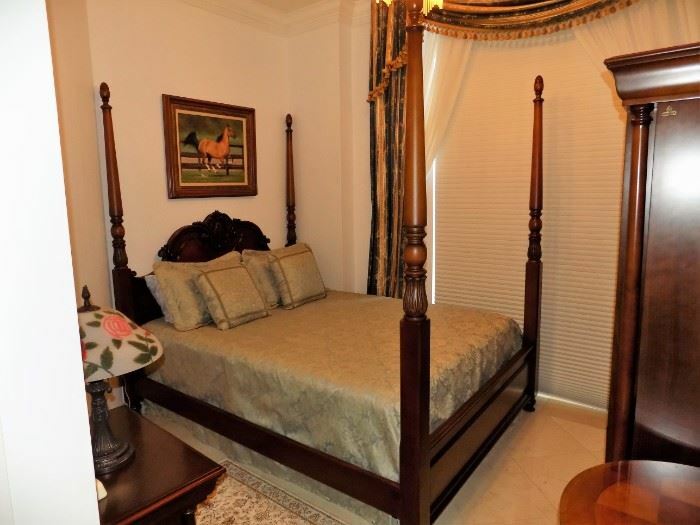 GREAT SELECTION OF BEDS FROM KING, QUEEN, FULL TO TWIN. 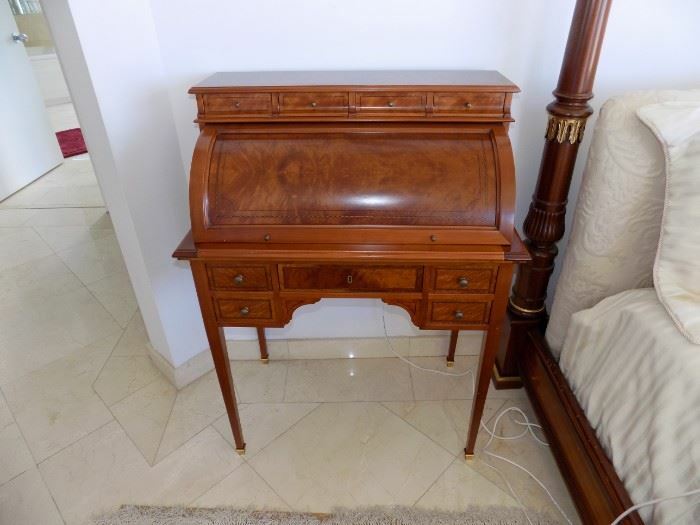 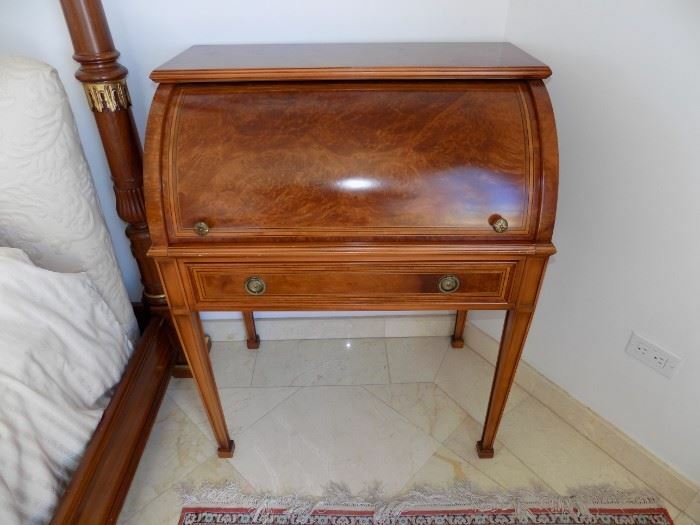 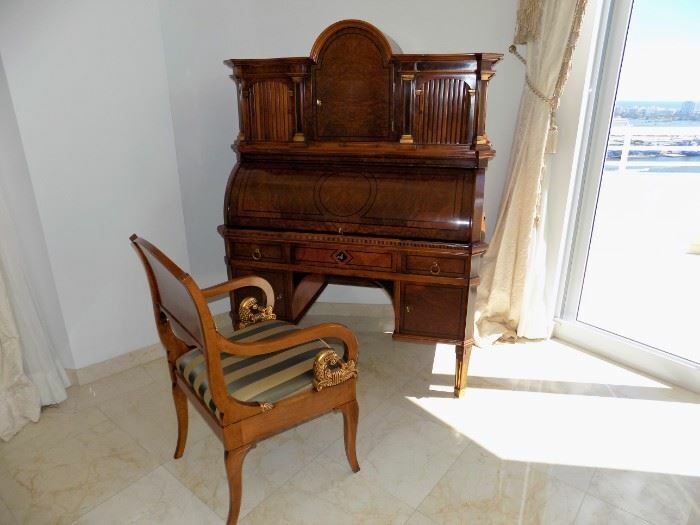 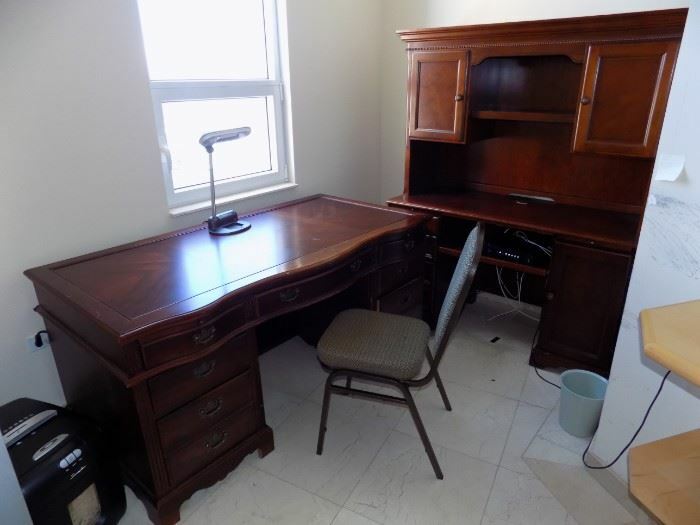 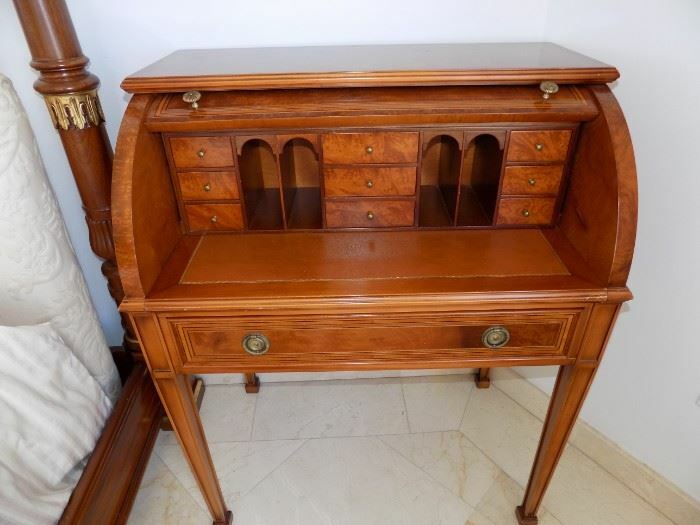 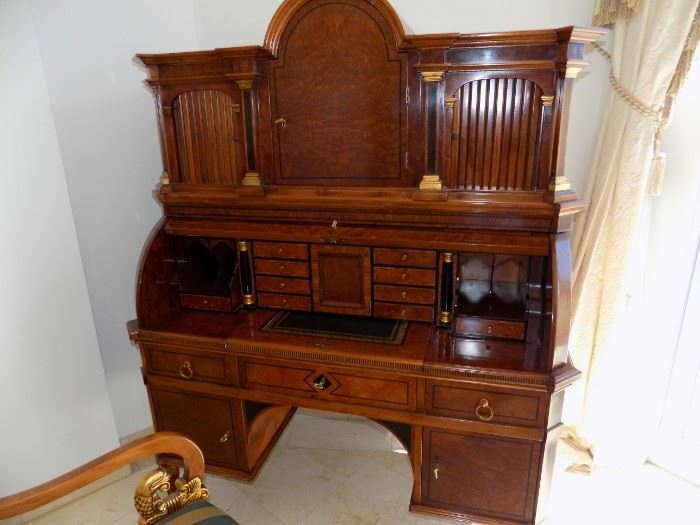 MULTIPLE DESK TO A SENSATIONAL BURL WOOD SECRETARY. 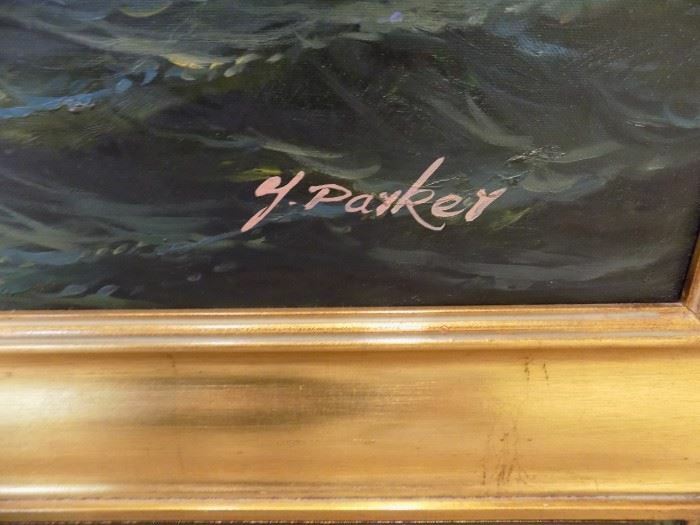 AS ALWAYS..THE LIST GOES ON AND ON. 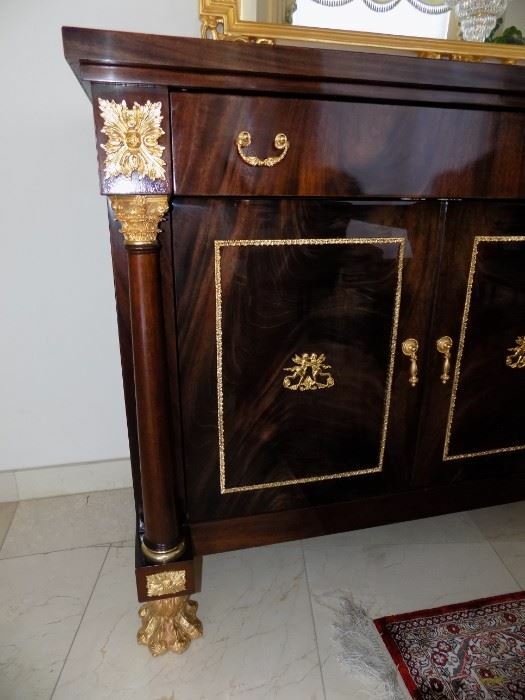 THIS IS JUST THE HIGHLIGHTS WITH SO MANY OTHER WONDERFUL PIECES TO DISCOVER. 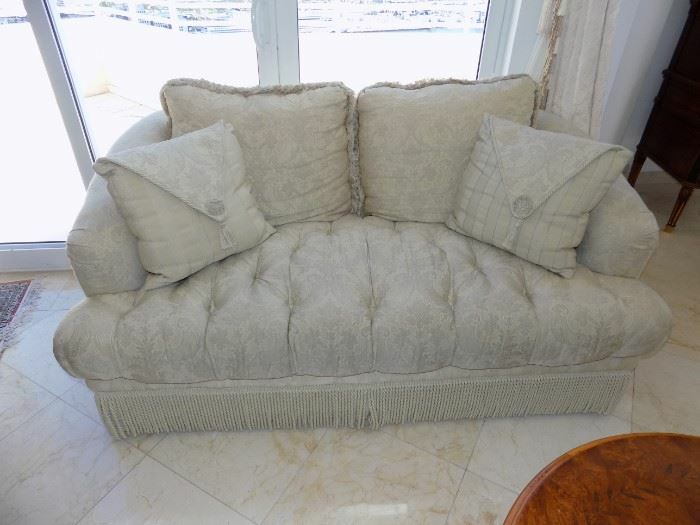 LOOKING FORWARD TO SEE YOU AT ANOTHER SUPER SALE! 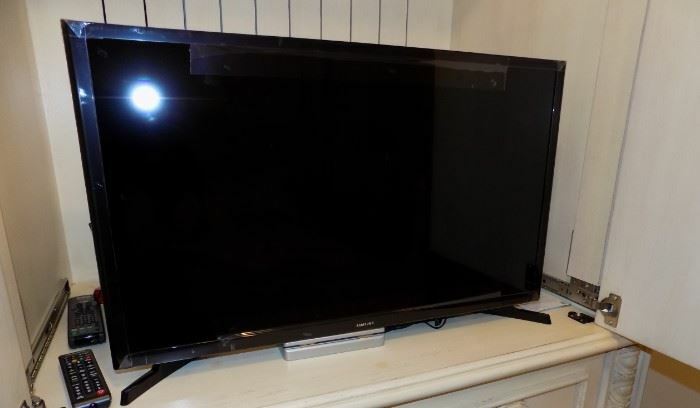 TINA AND KENNY.